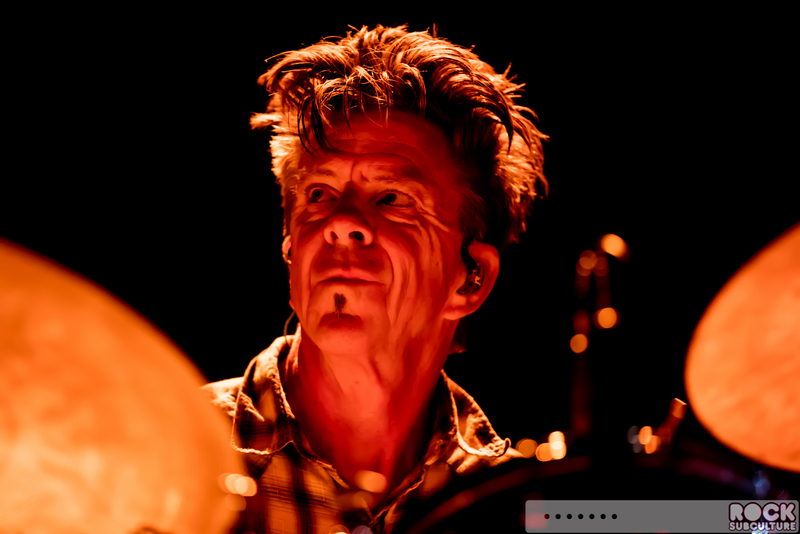 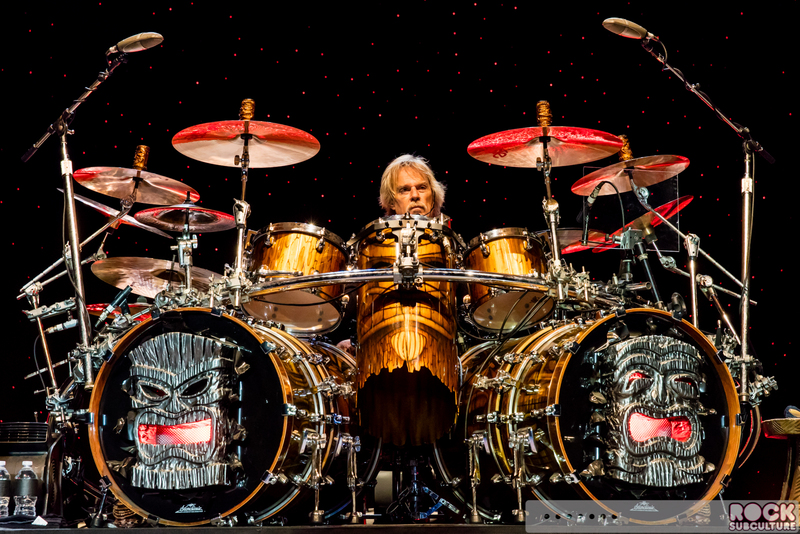 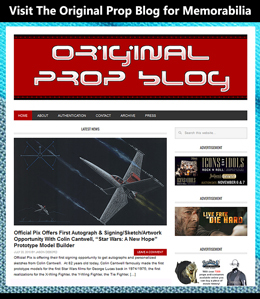 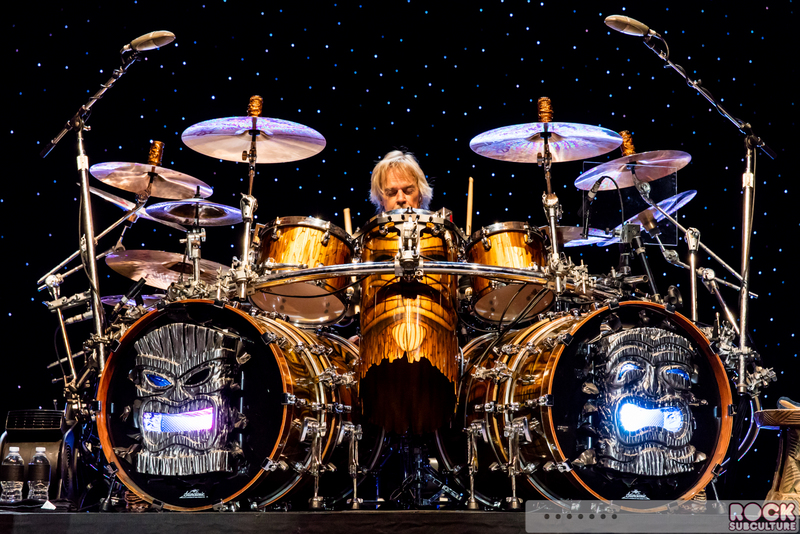 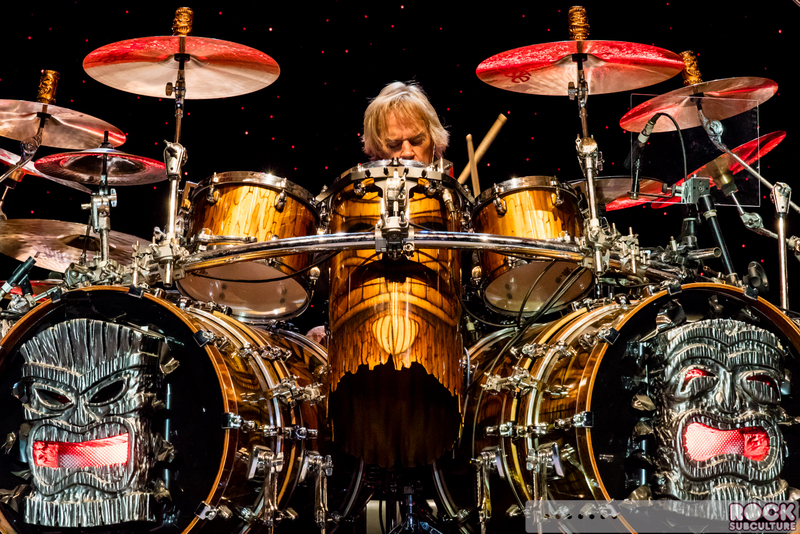 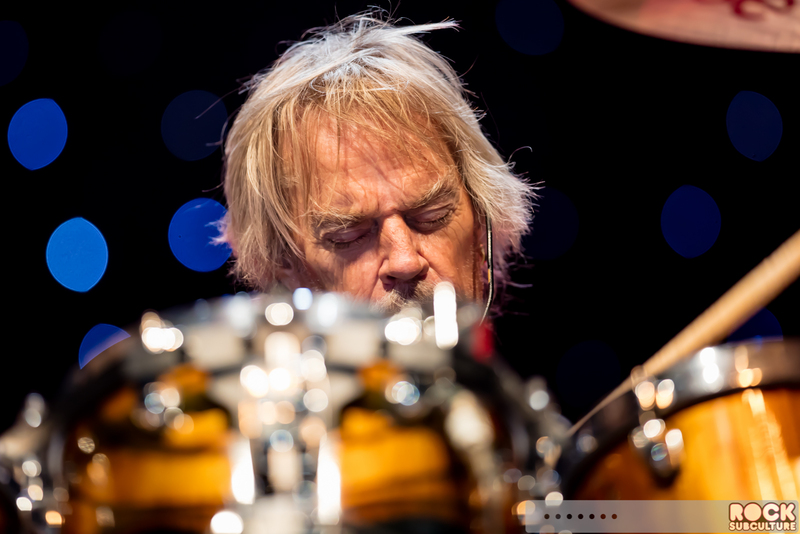 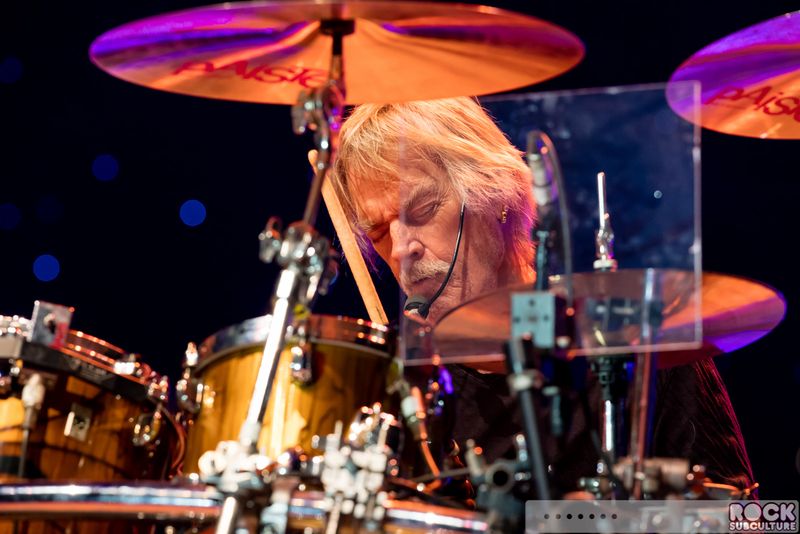 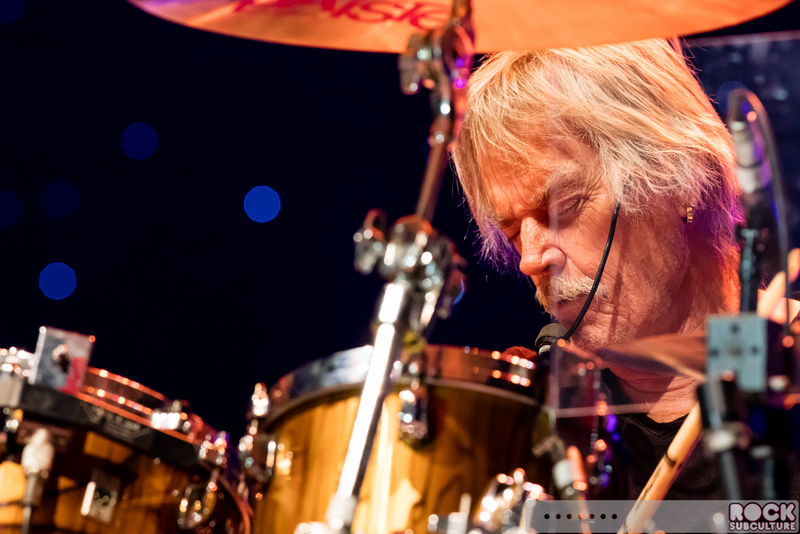 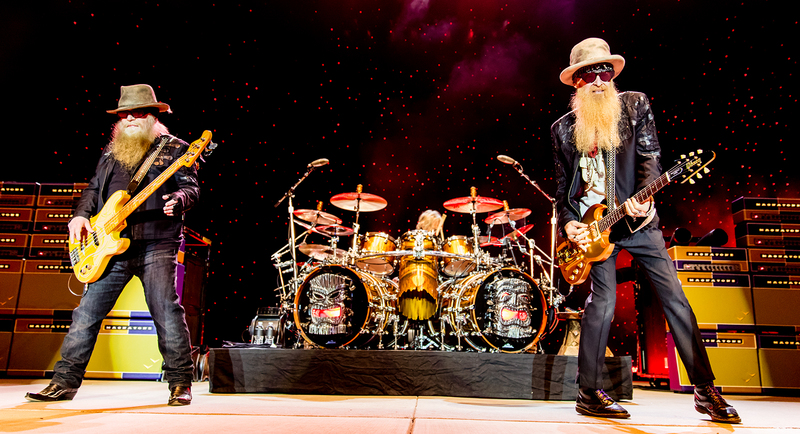 “We been coming around here with you guys… well, hell, we’ve been coming around with you all for over four decades. 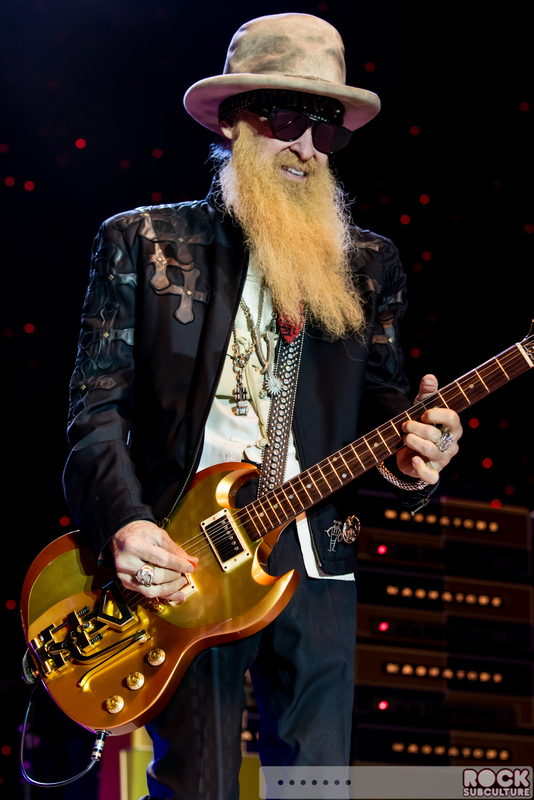 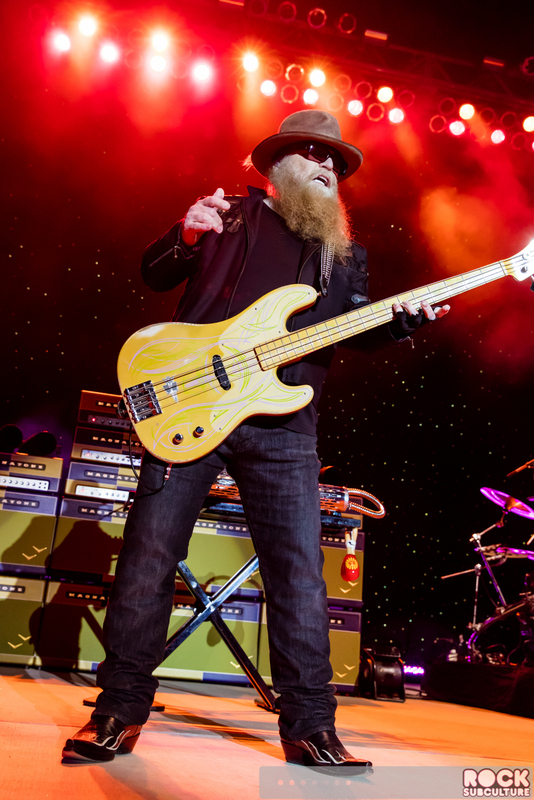 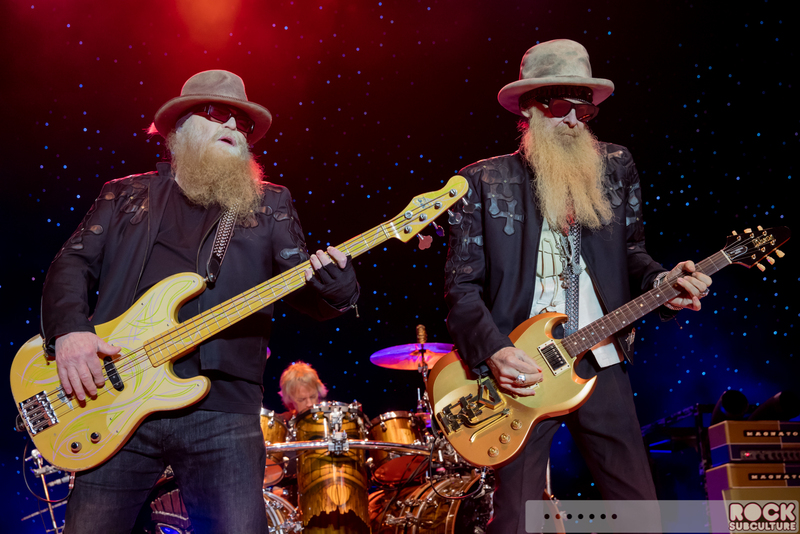 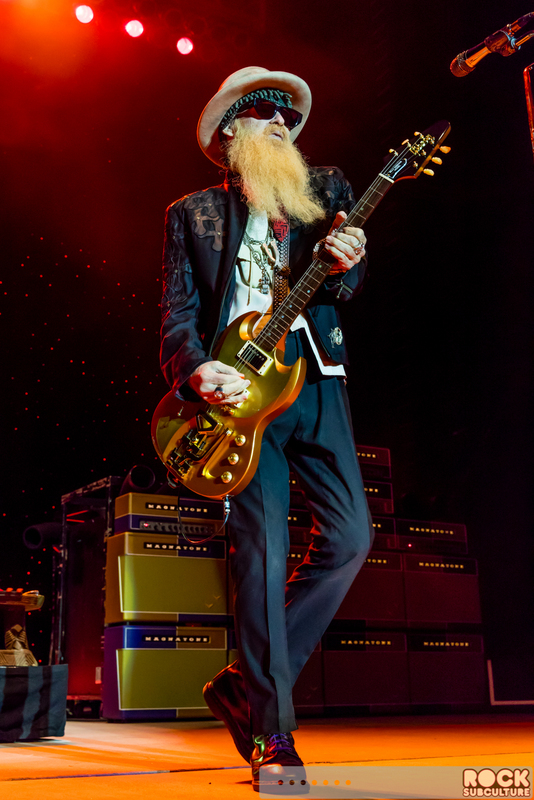 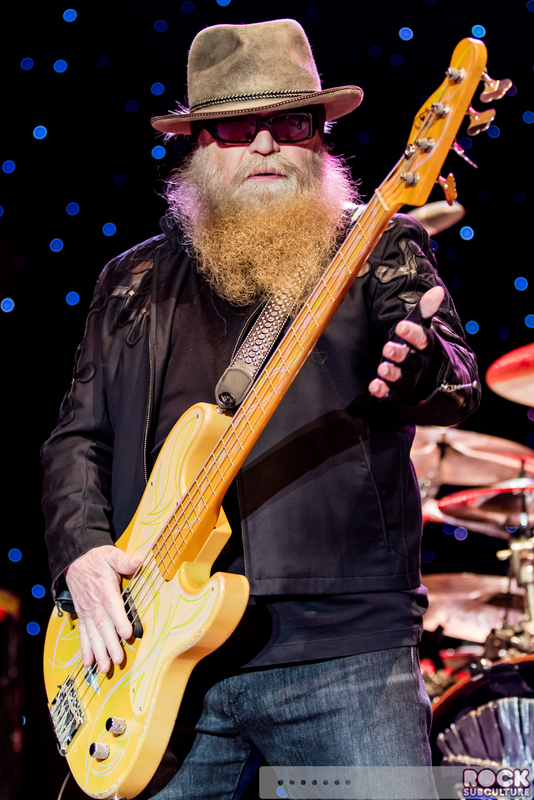 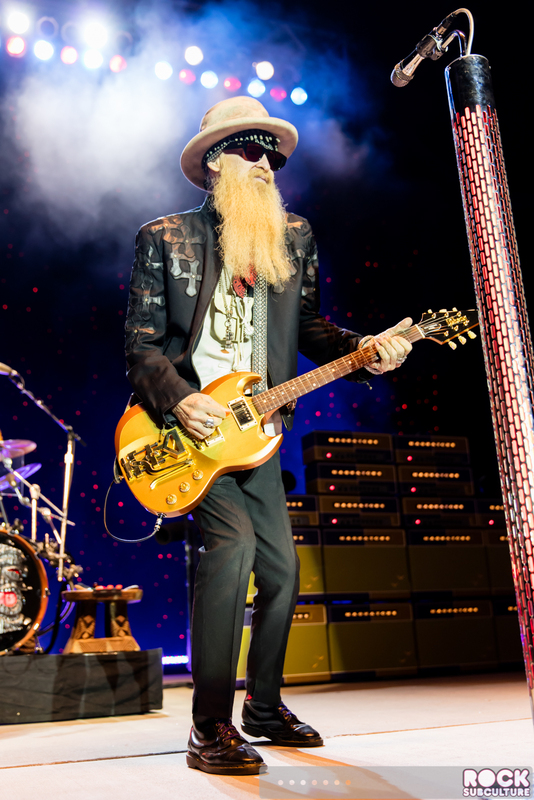 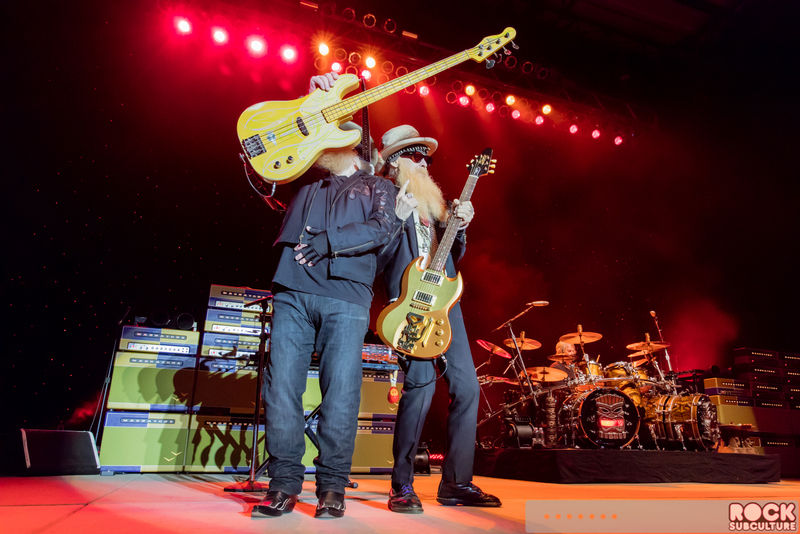 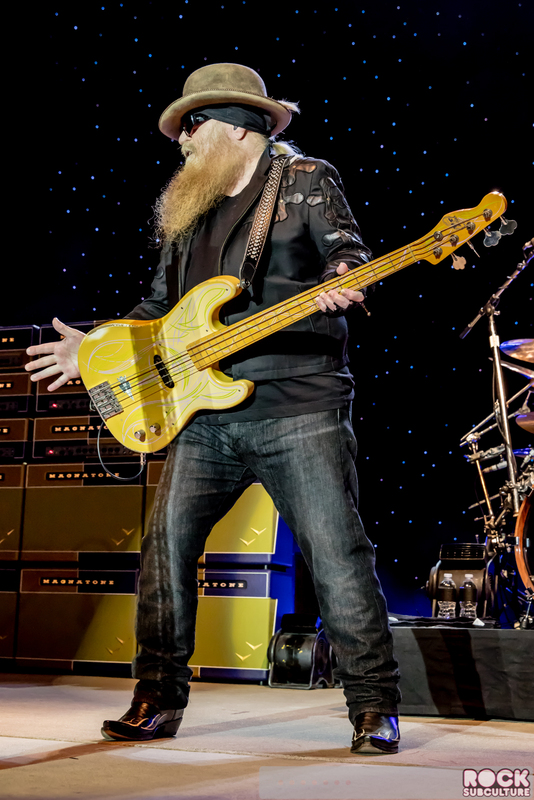 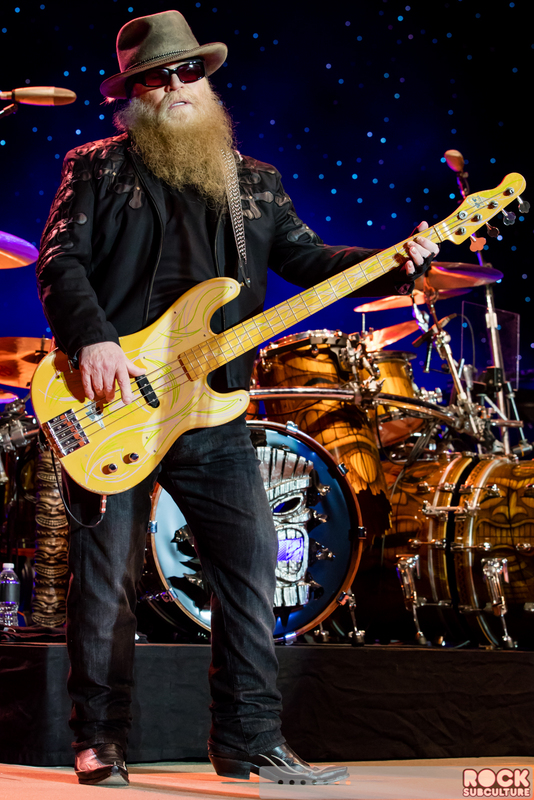 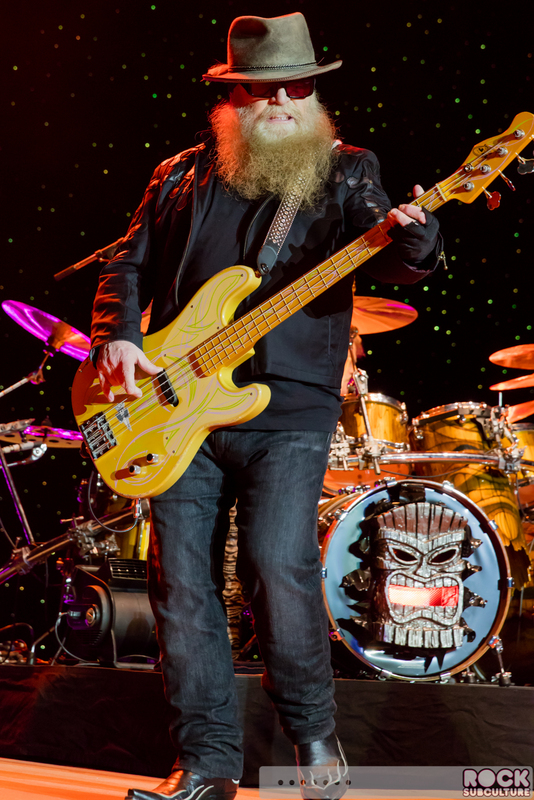 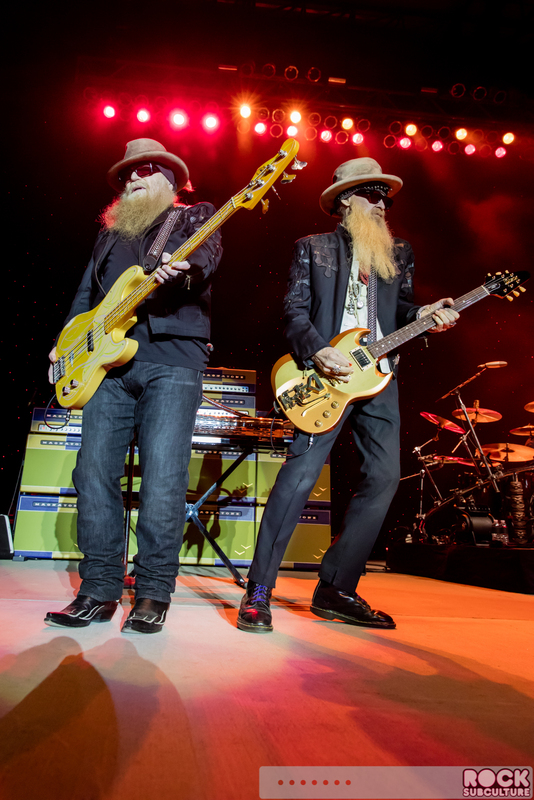 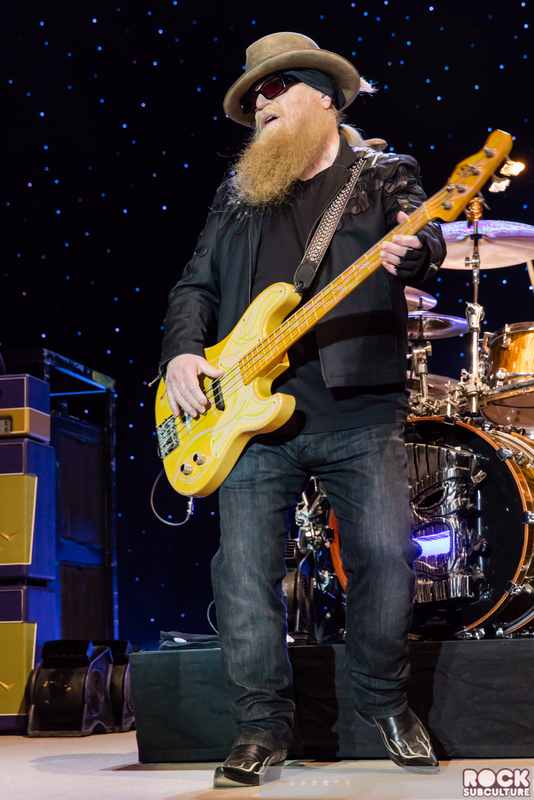 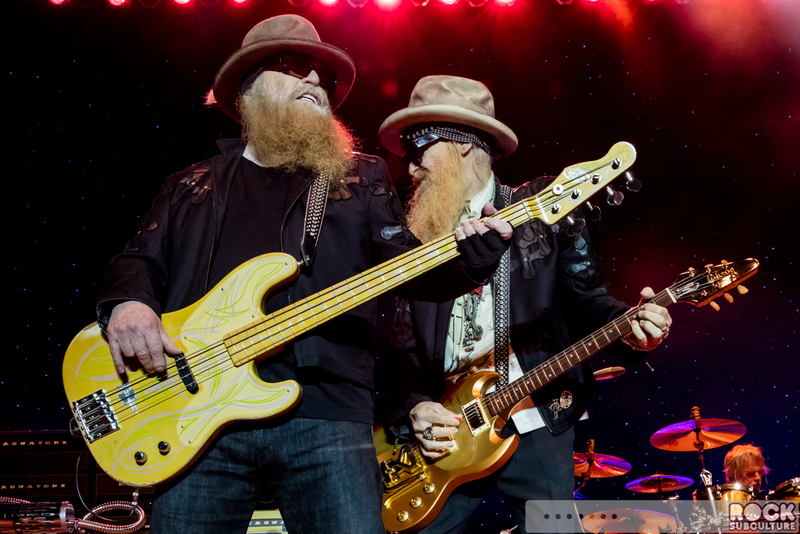 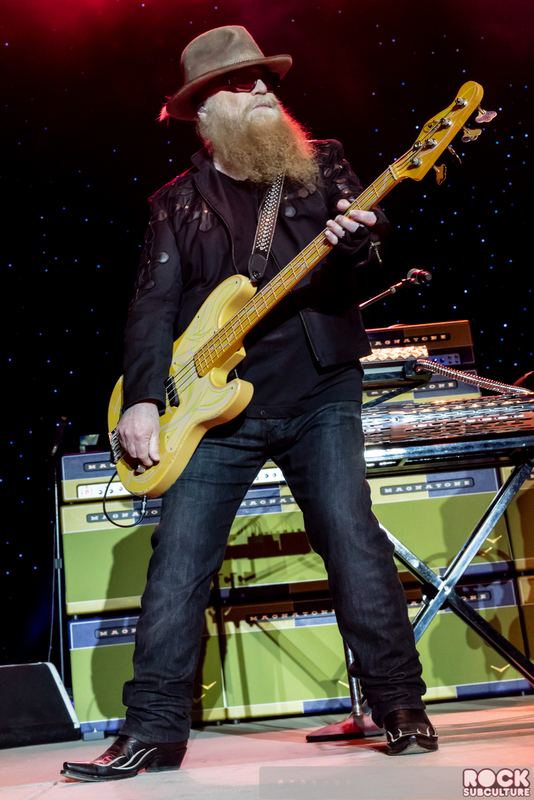 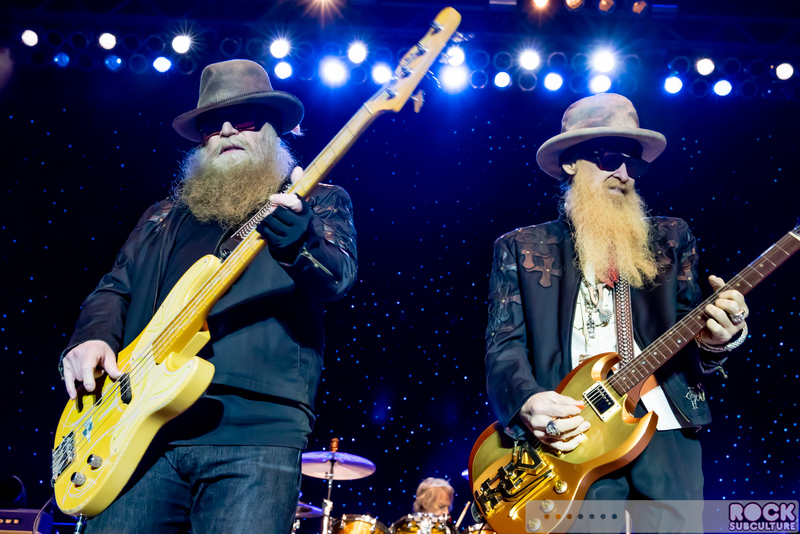 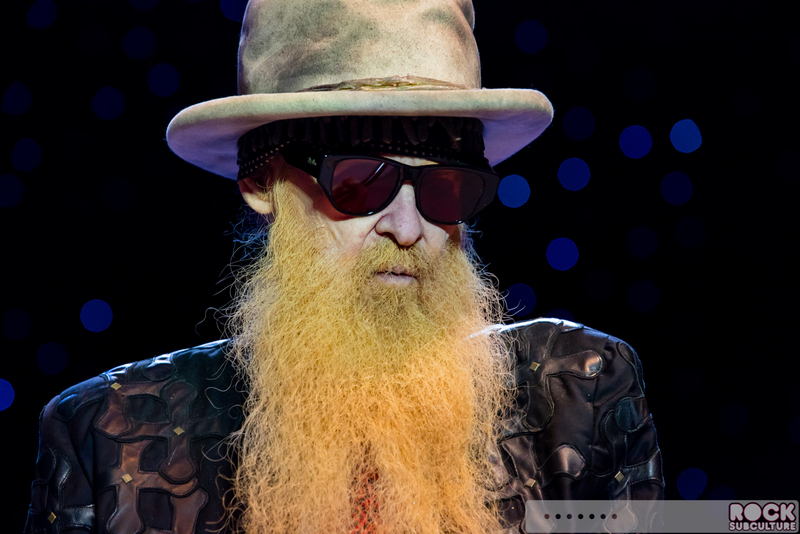 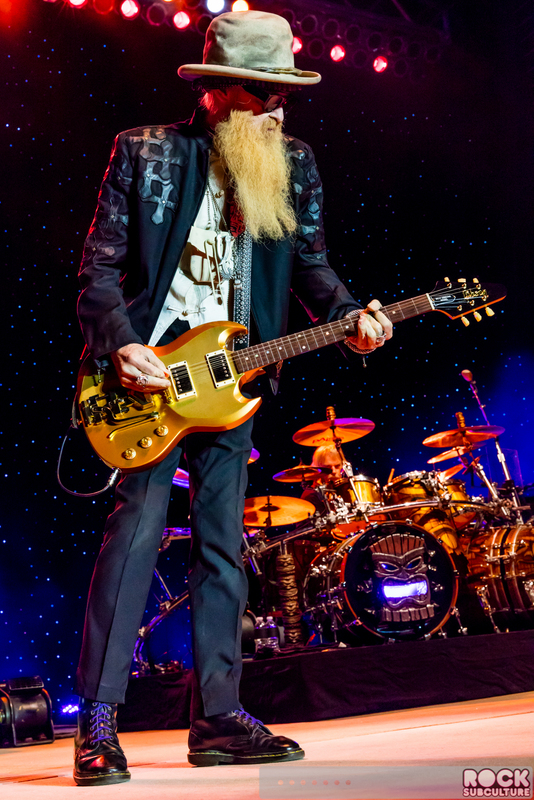 Same three guys right here… Same three chords right here…” Billy Gibbons, guitarist and vocalist of ZZ Top, sharing the stage with co-vocalist and bassist Dusty Hill and drummer Frank Beard. 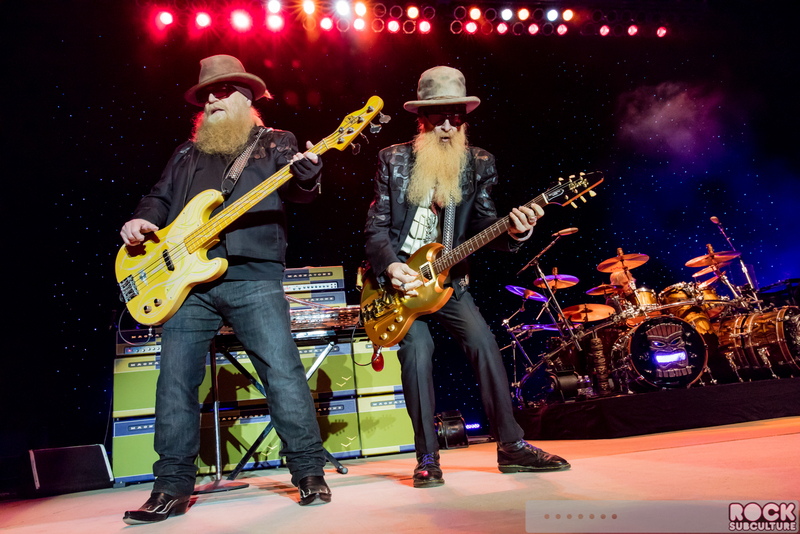 What can you say about a band that’s had the same line-up forever (since 1969!). 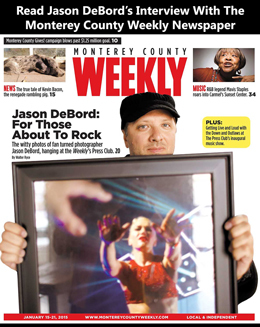 Really unheard of in the music industry. 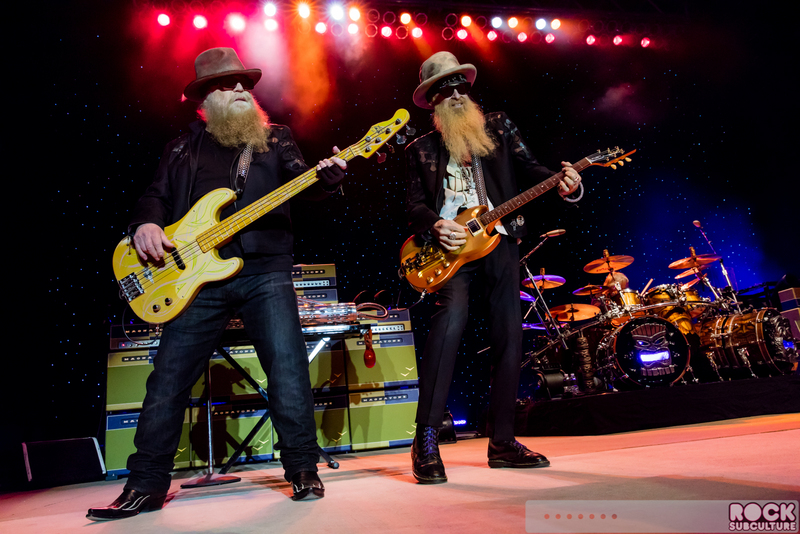 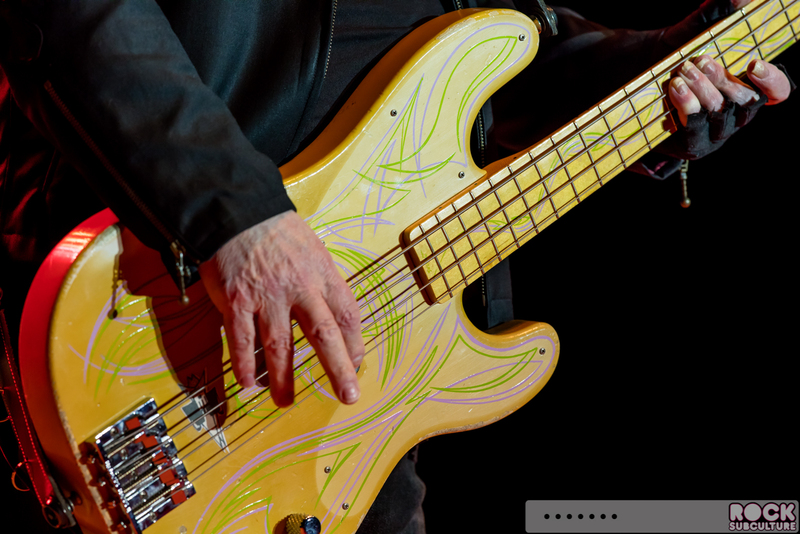 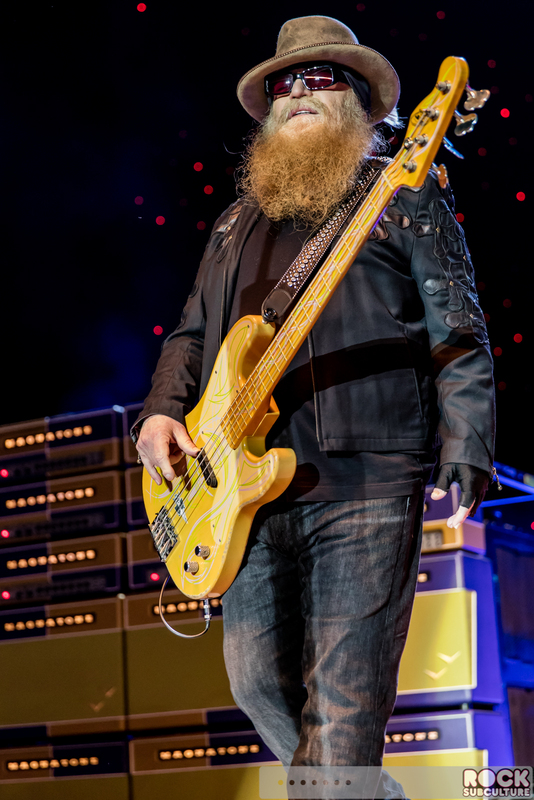 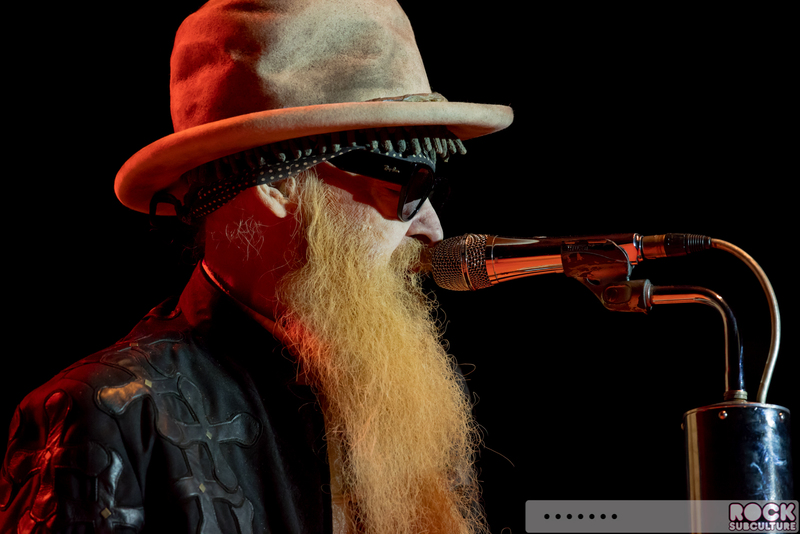 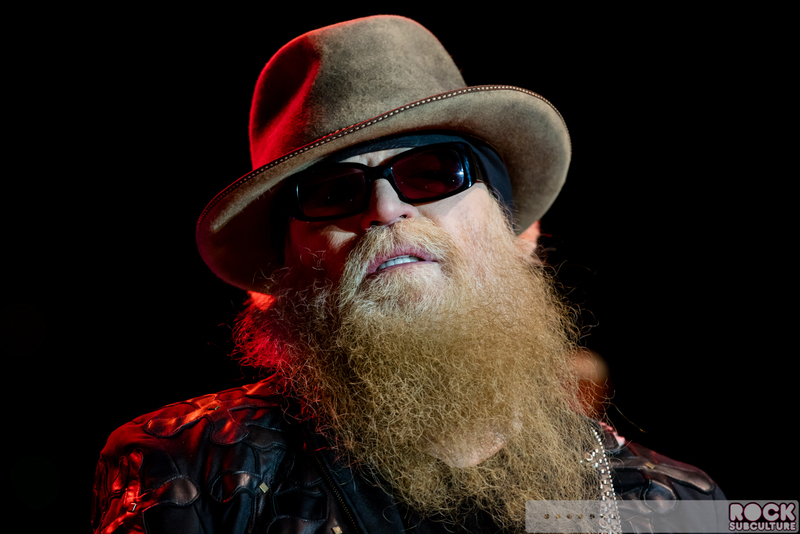 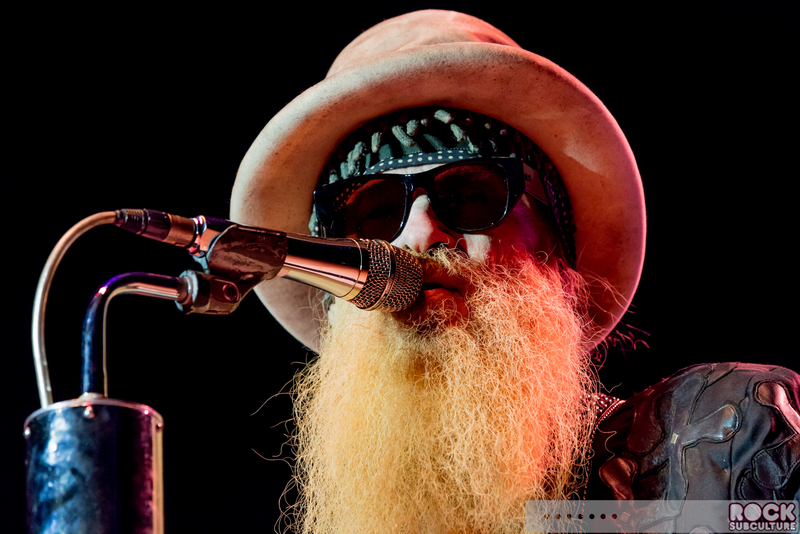 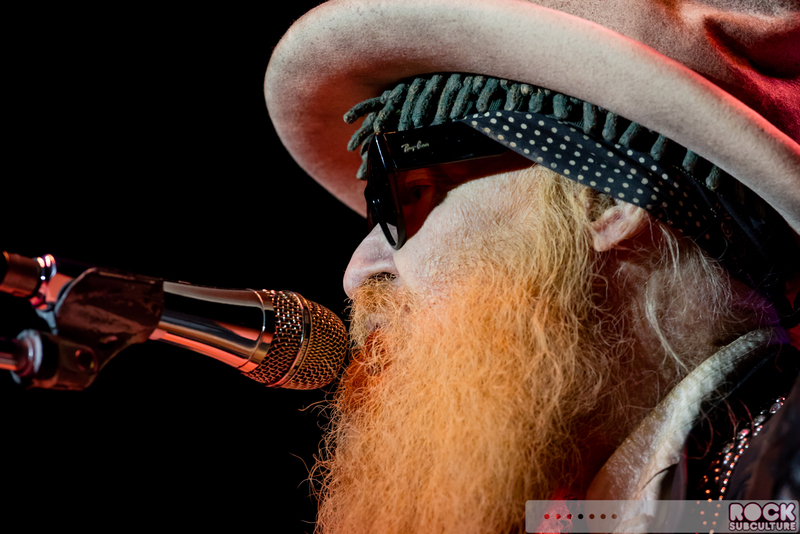 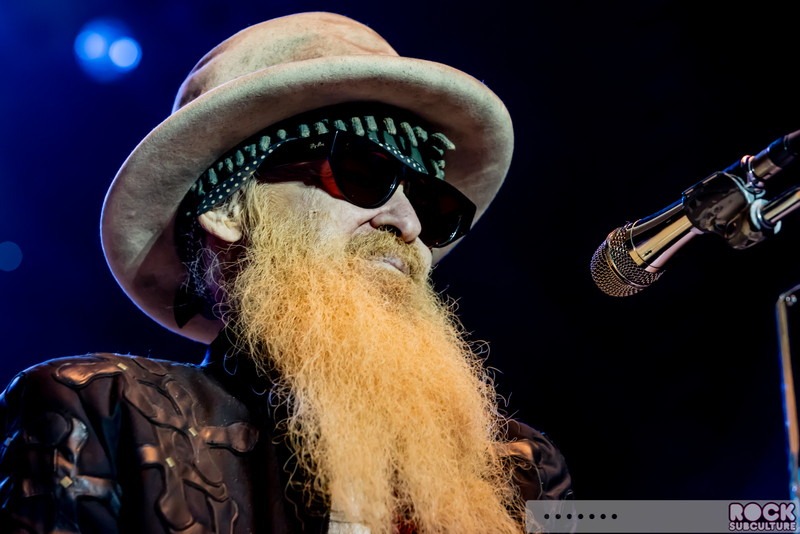 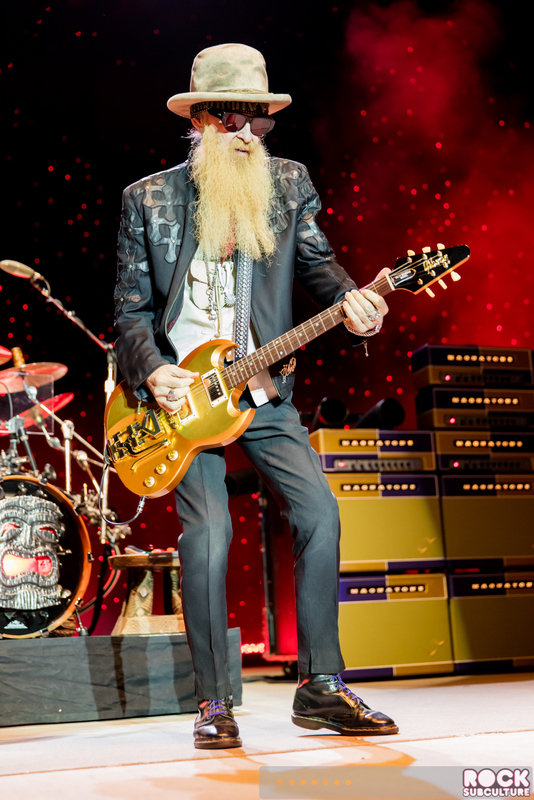 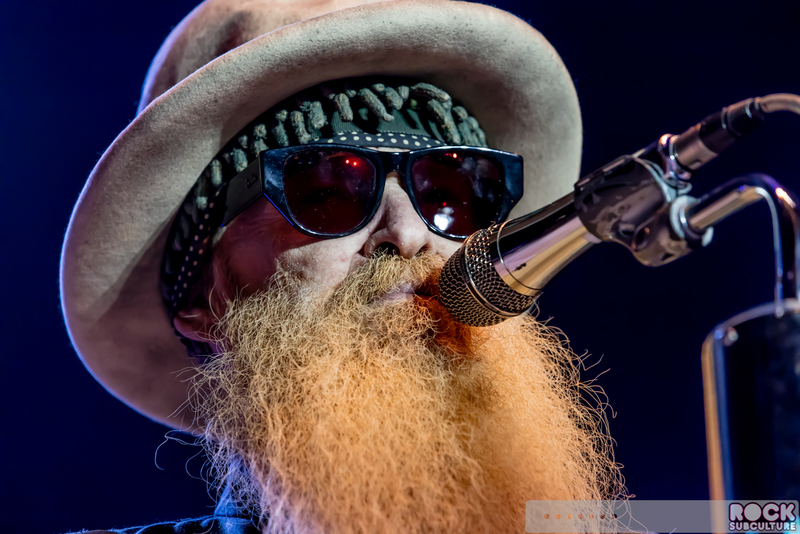 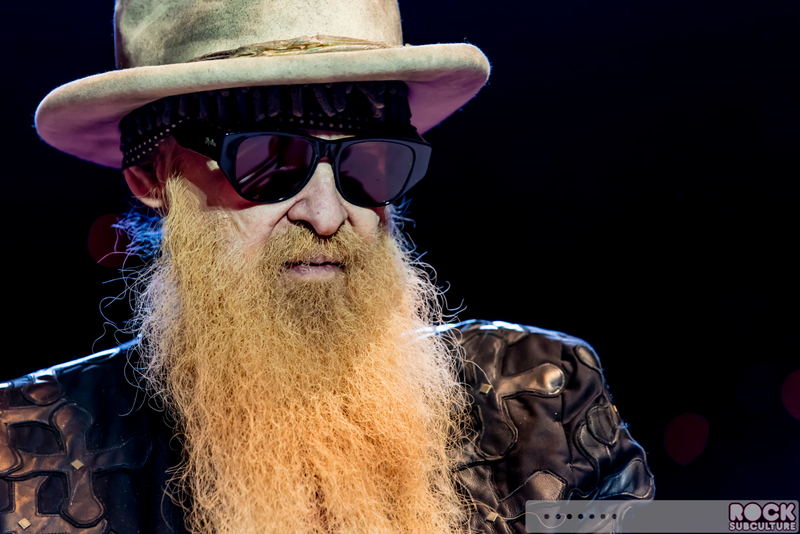 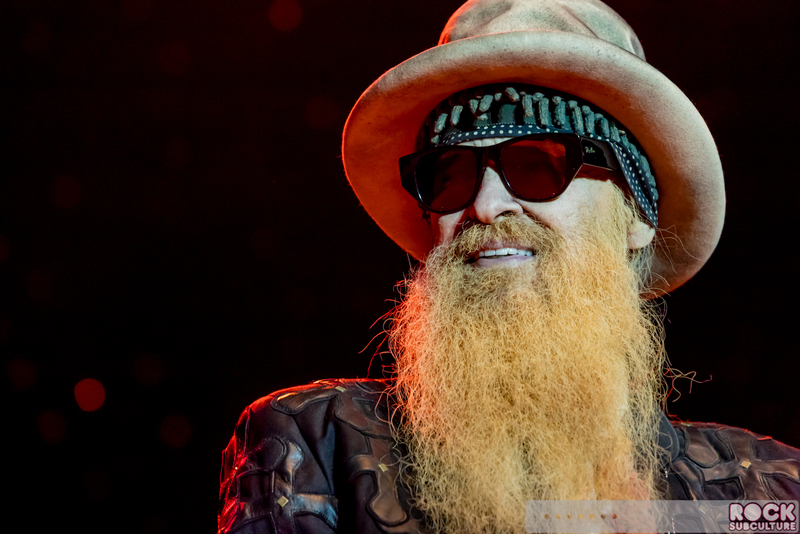 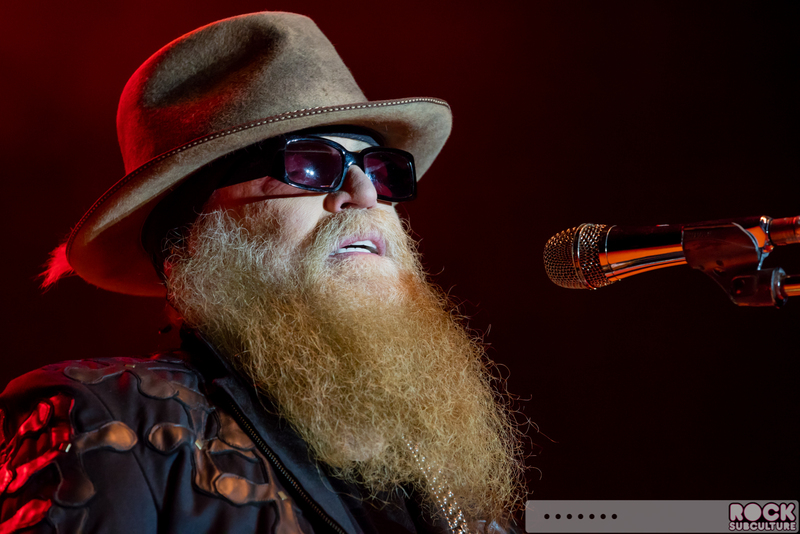 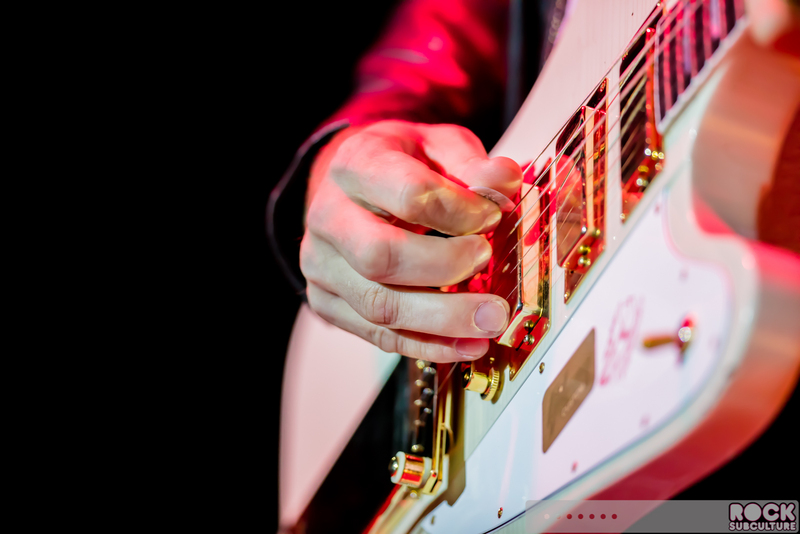 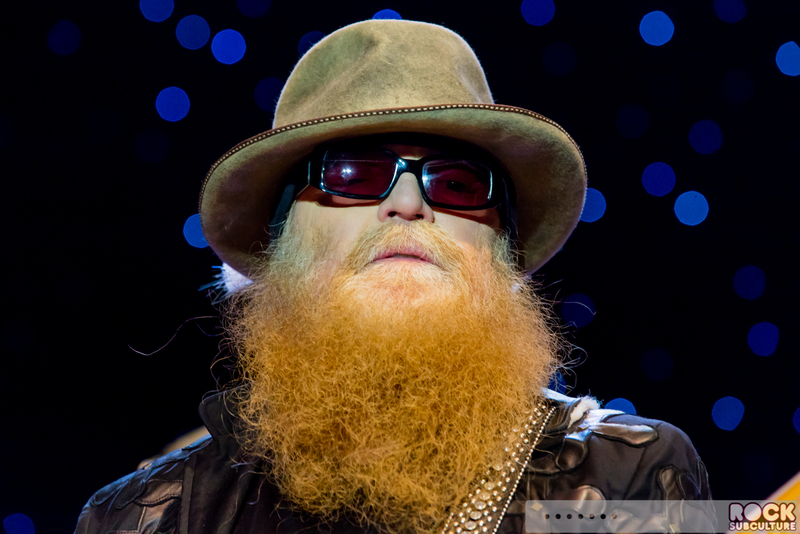 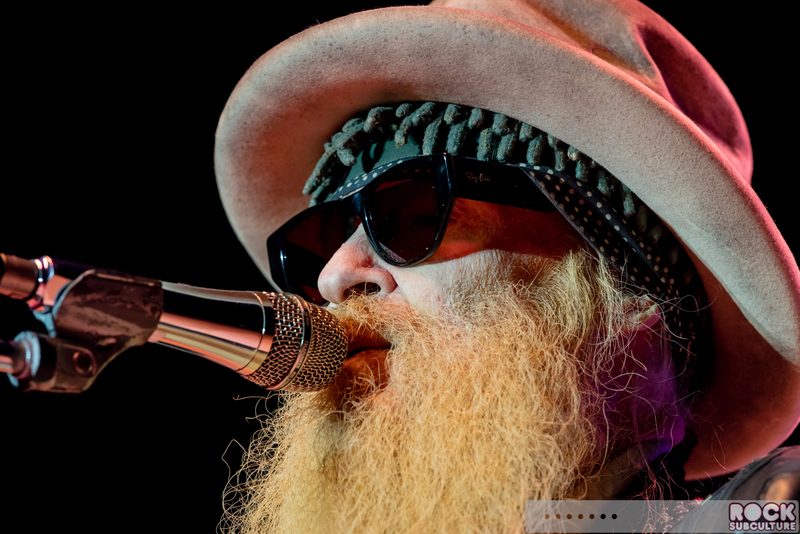 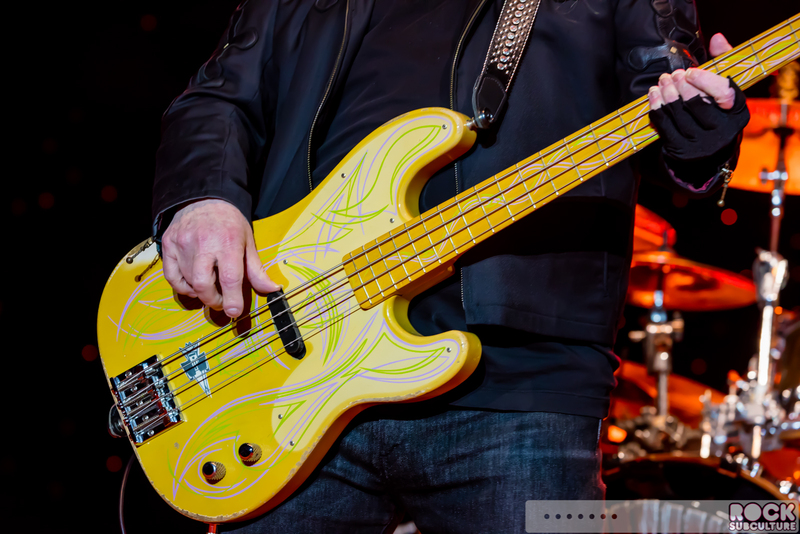 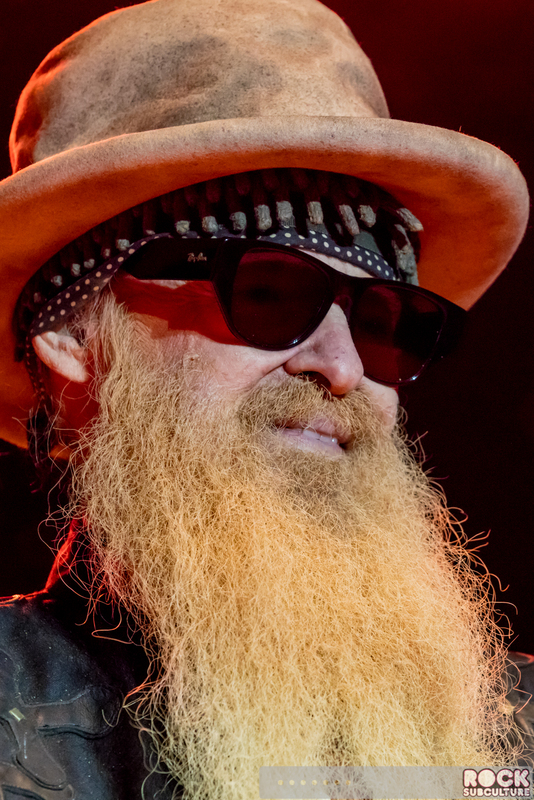 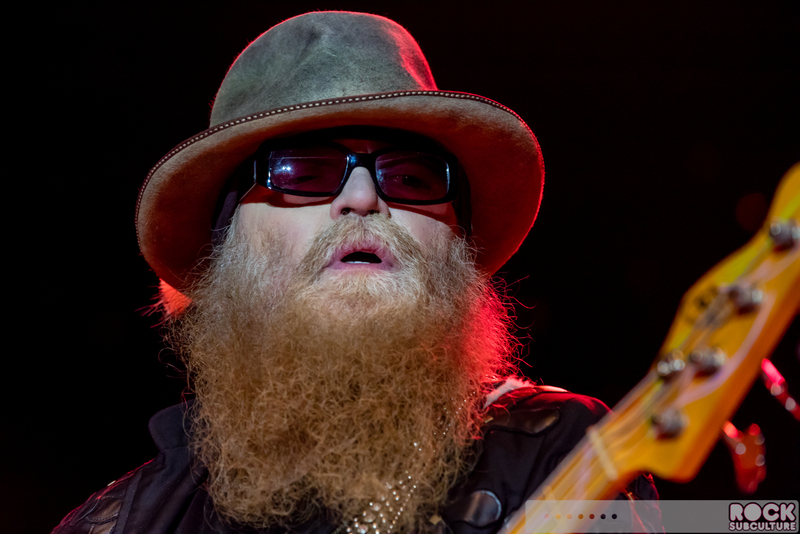 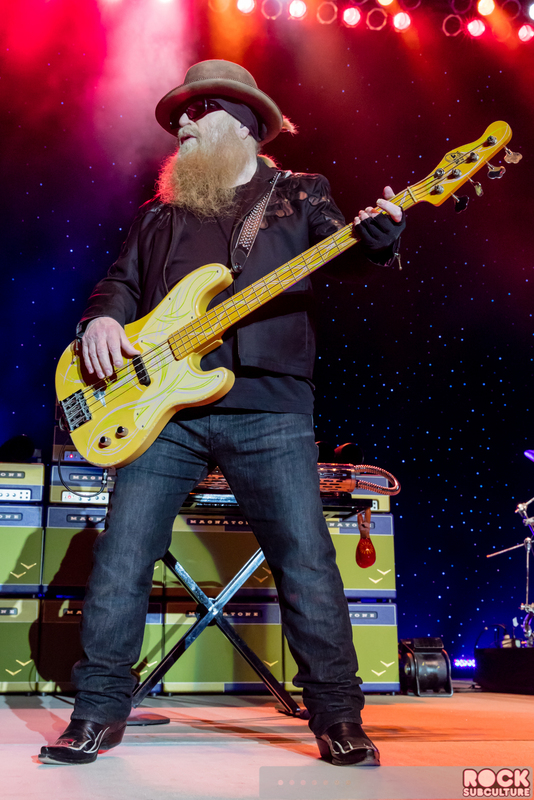 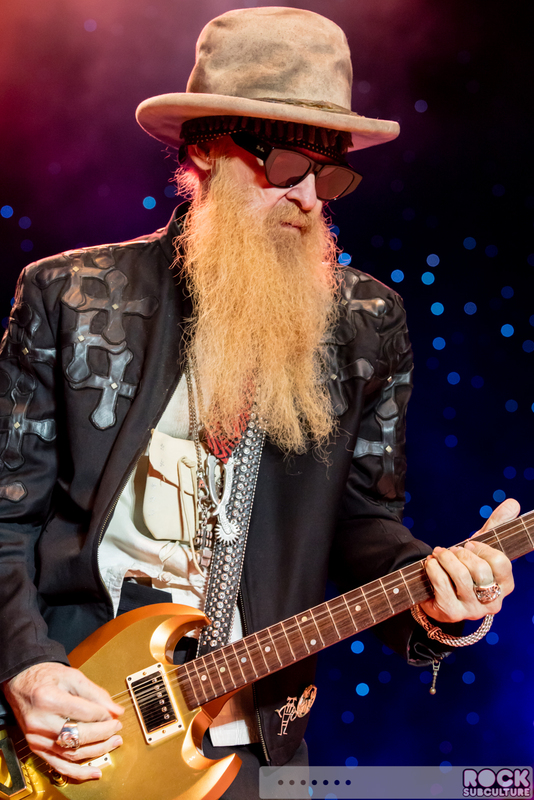 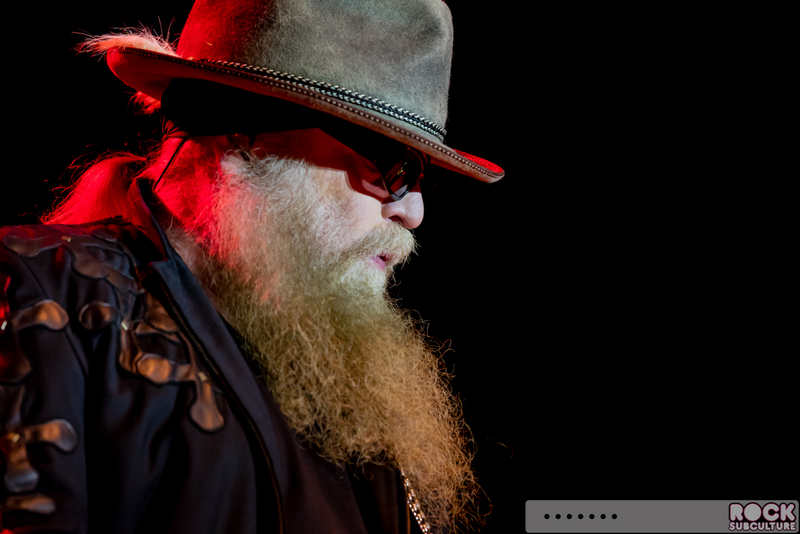 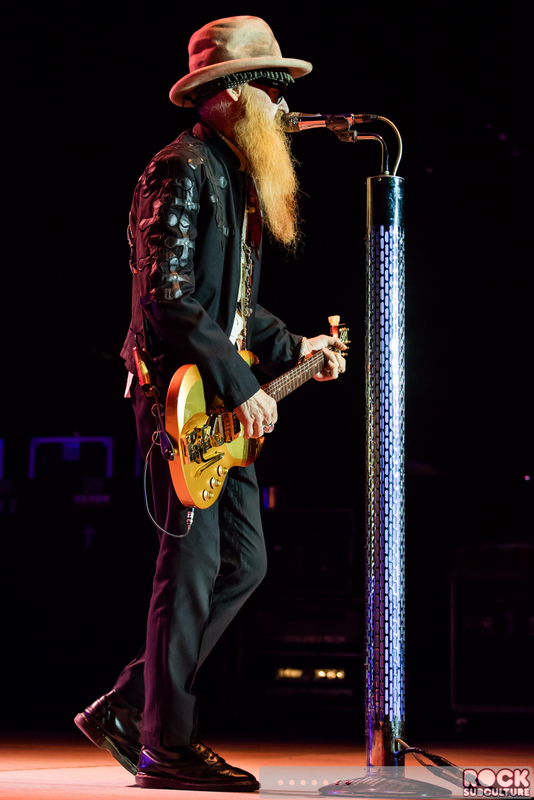 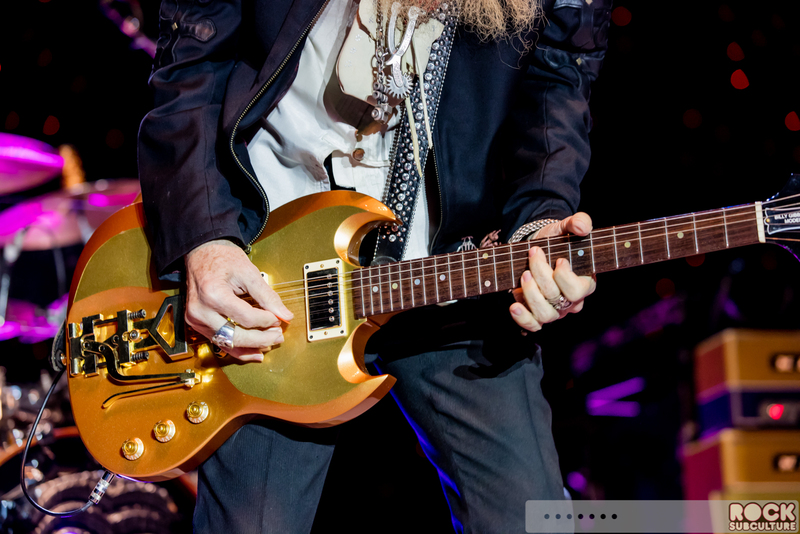 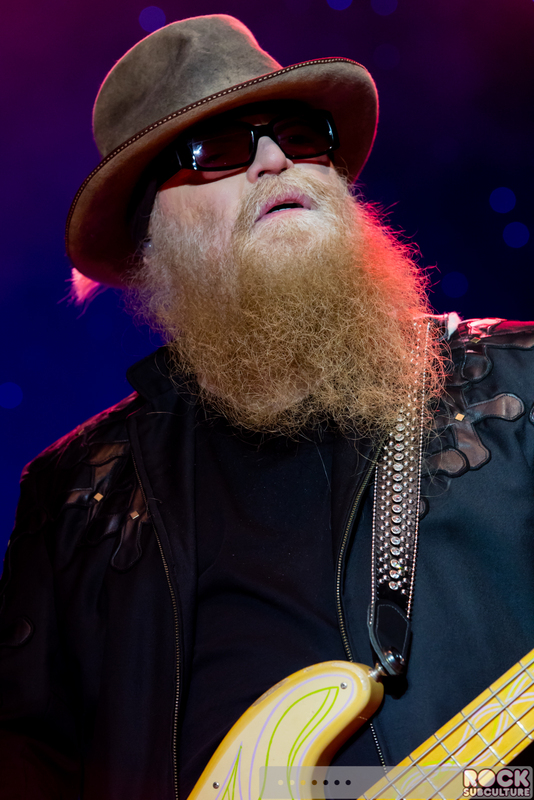 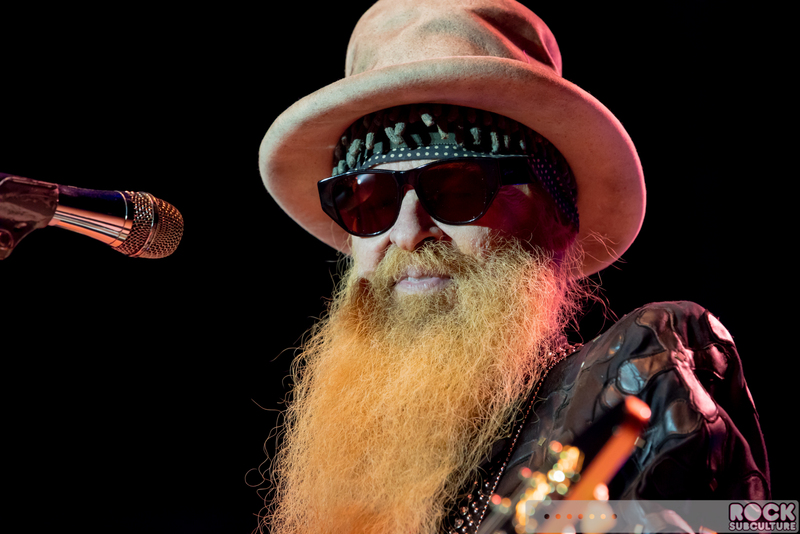 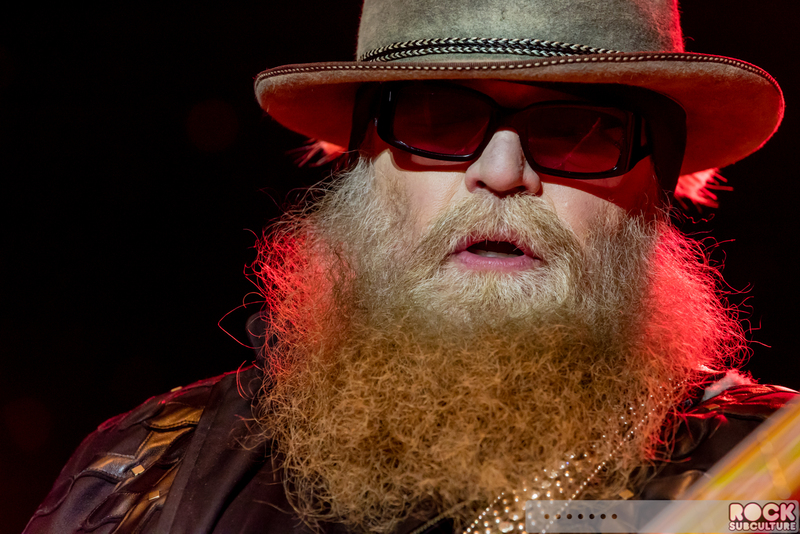 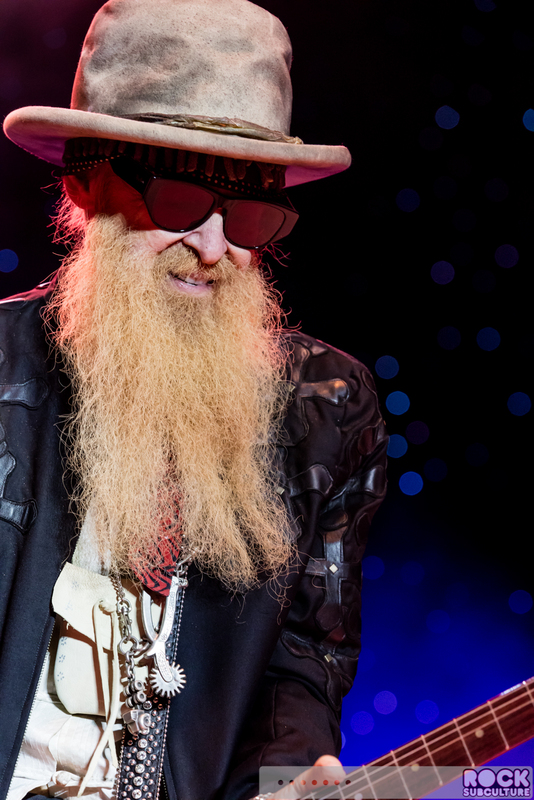 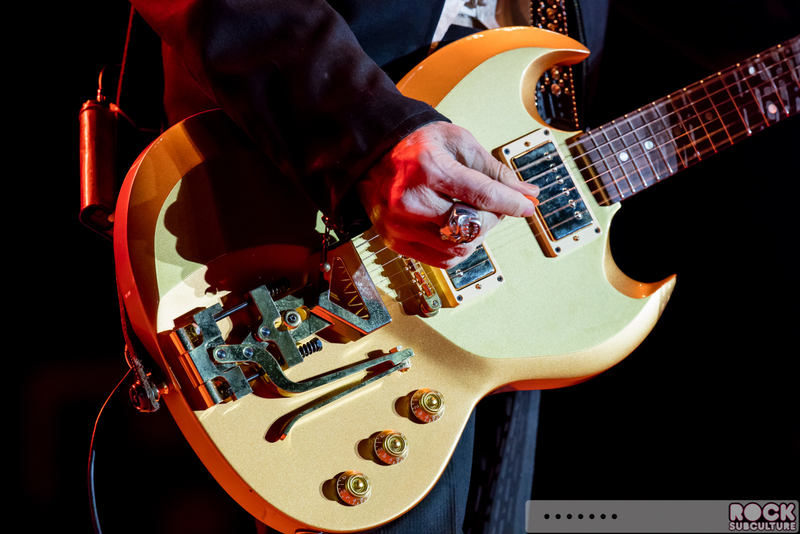 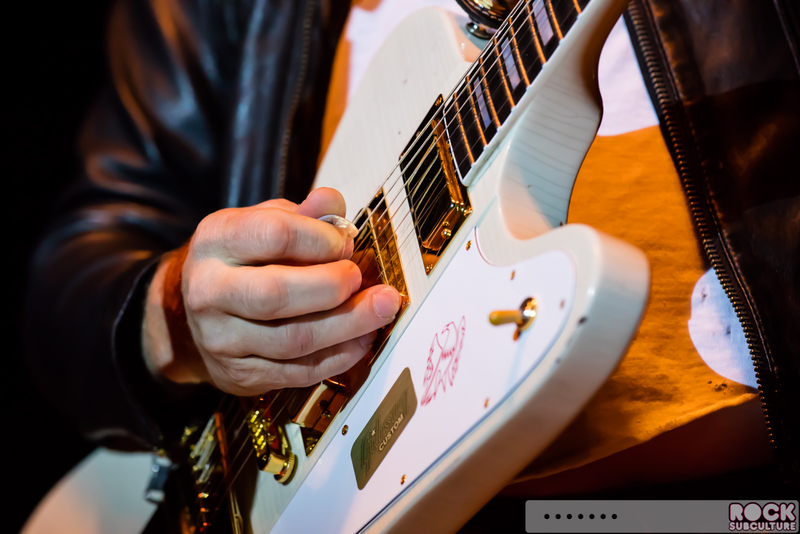 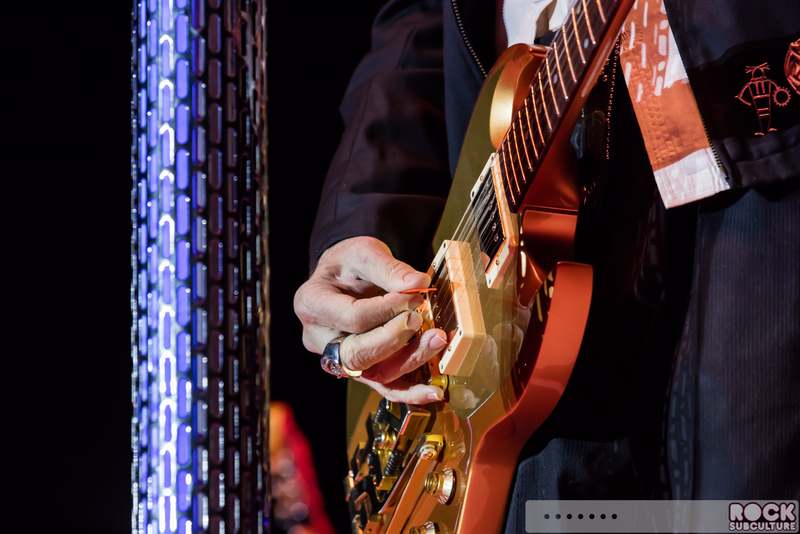 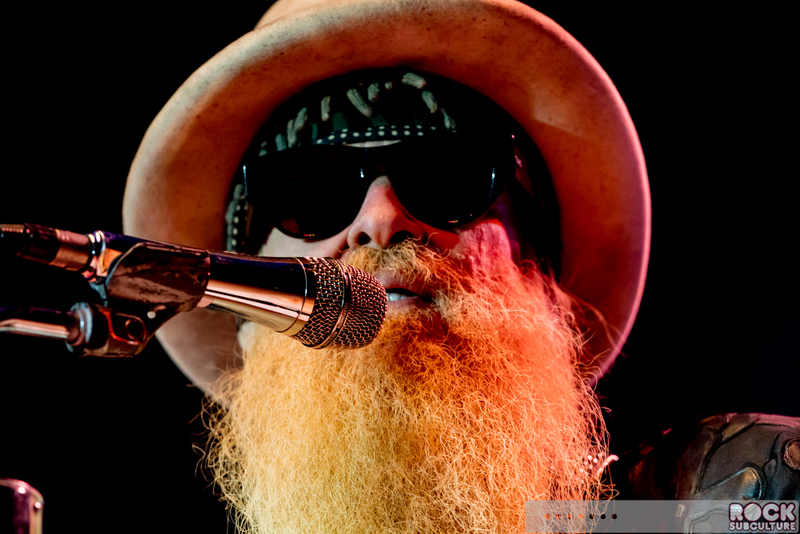 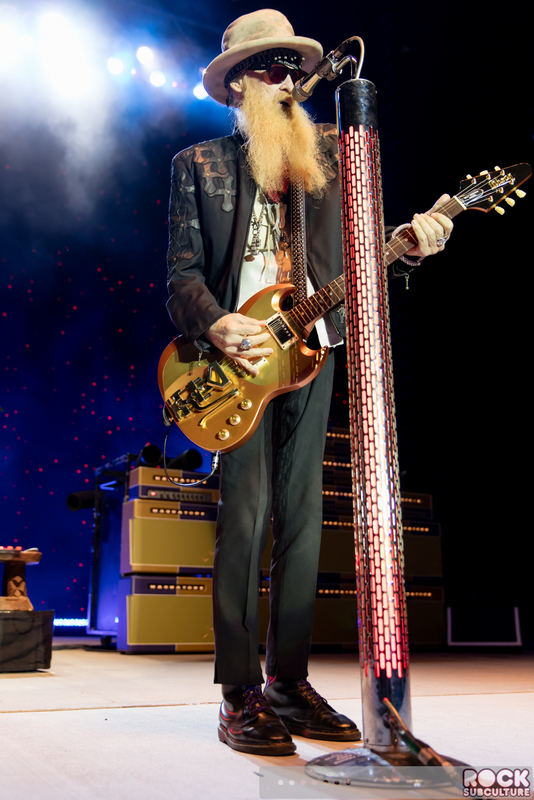 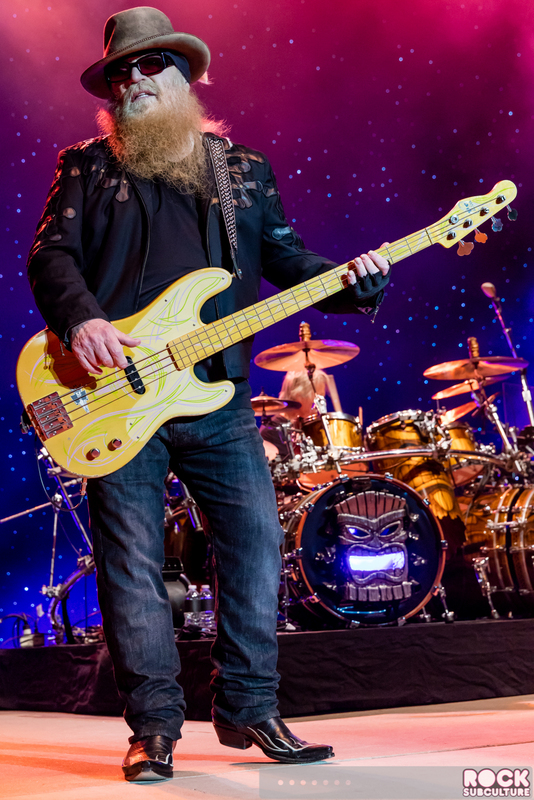 In any event, having covered the Summer Concert Series by Richter Entertainment Group at Ironstone Amphitheatre at Ironstone Vineyards over the past several months, ZZ Top turned out a huge crowd that had a unique character all its own. 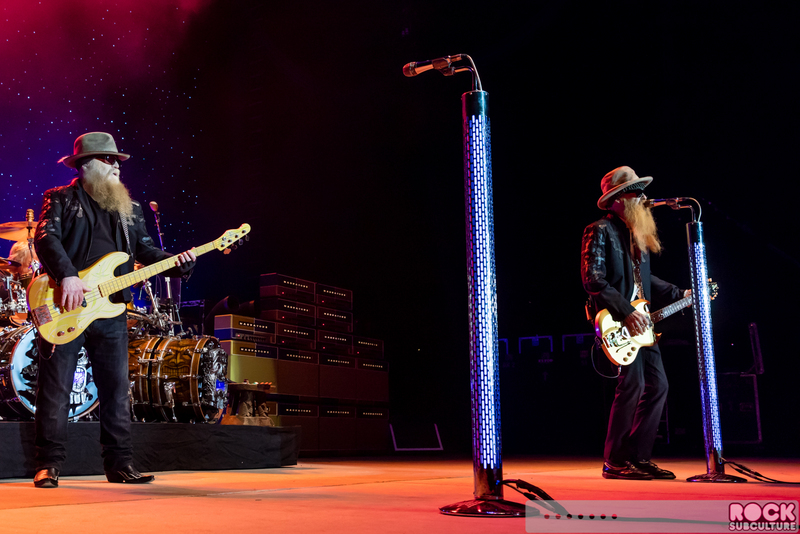 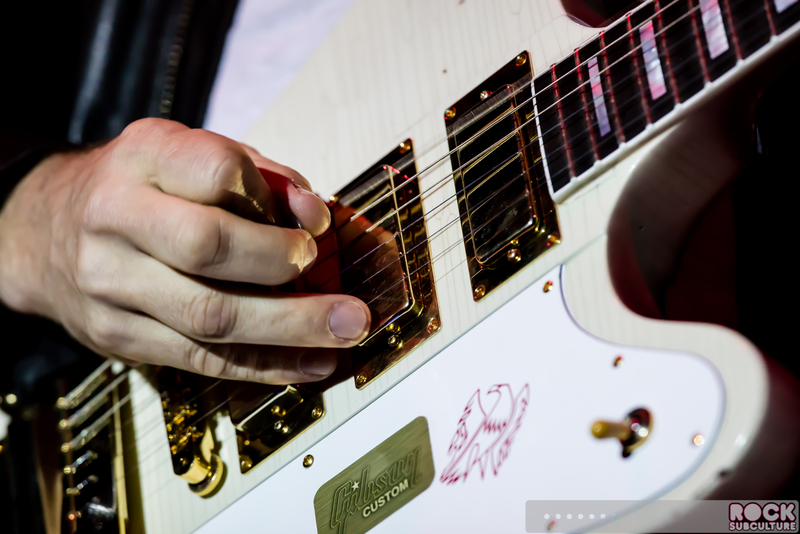 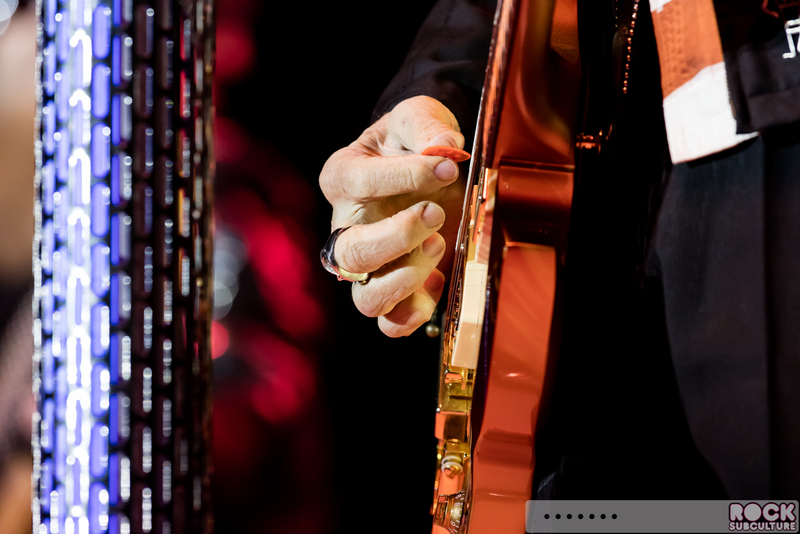 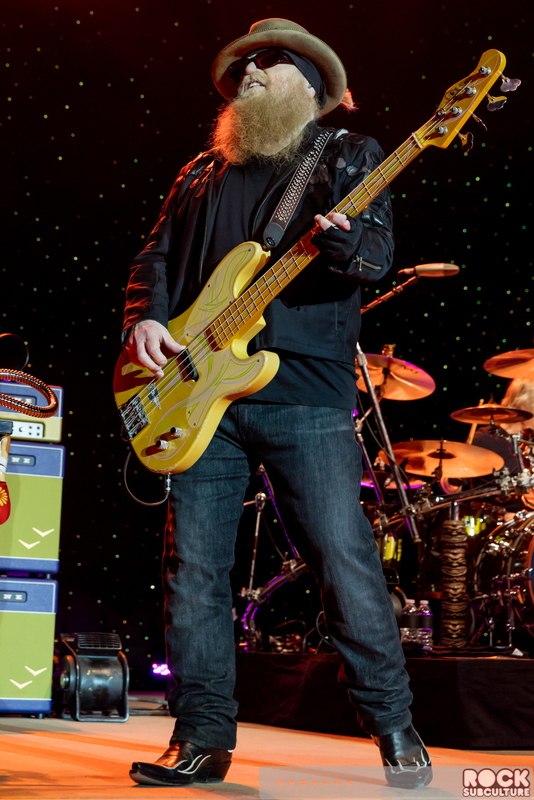 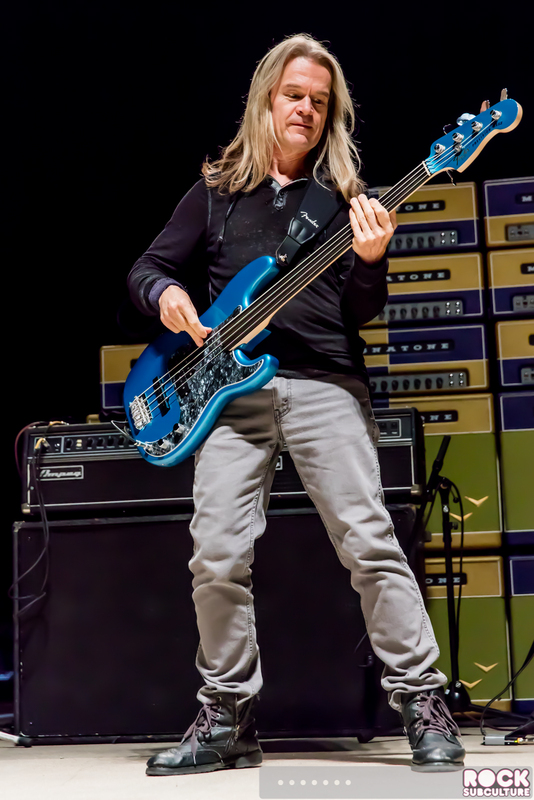 With Kenny Wayne Shepherd Band heating things up at the start of the evening, ZZ Top closed it out with both bands showcasing incredible work on guitar being the star of the show. 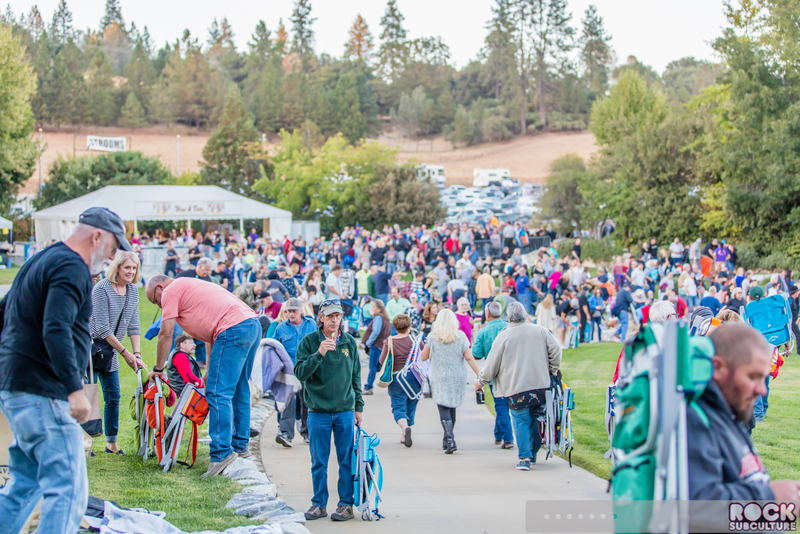 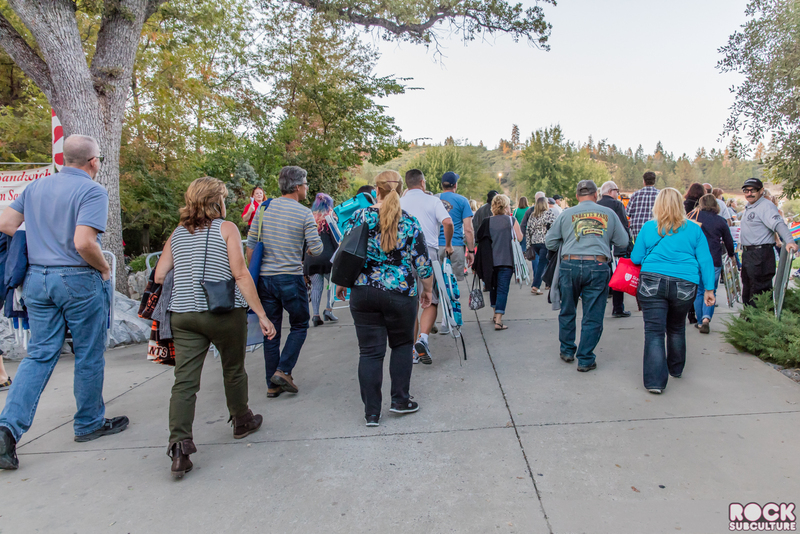 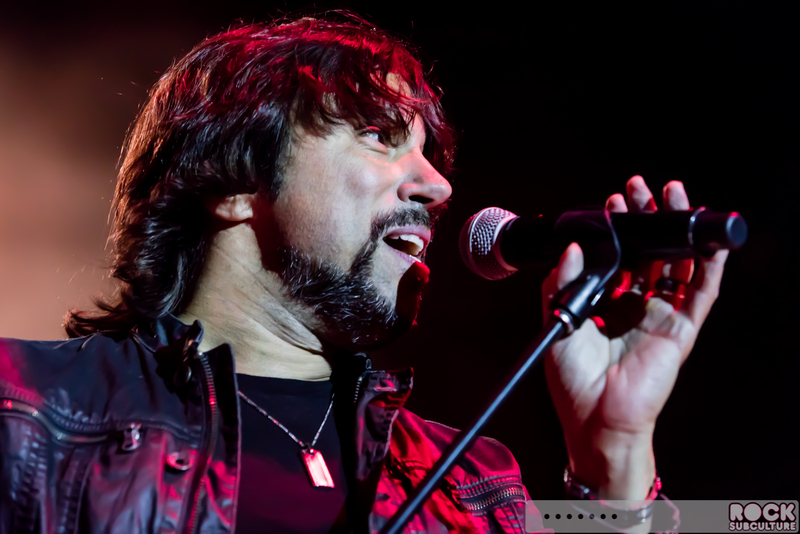 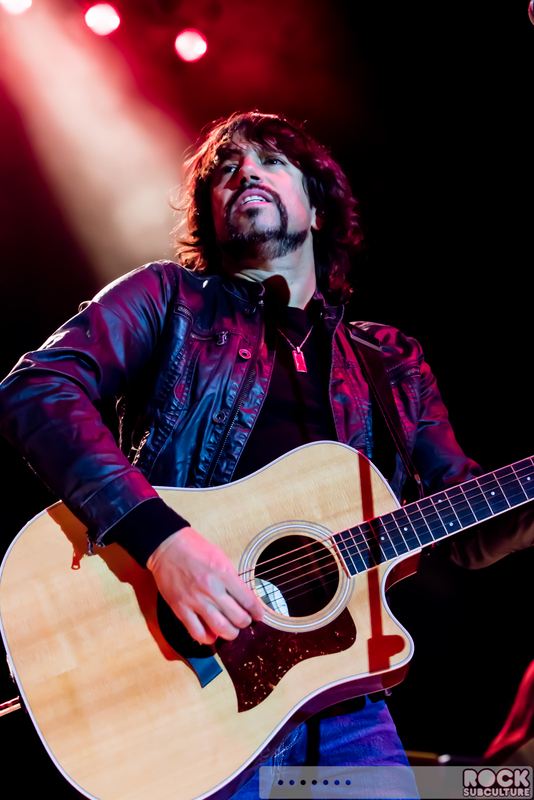 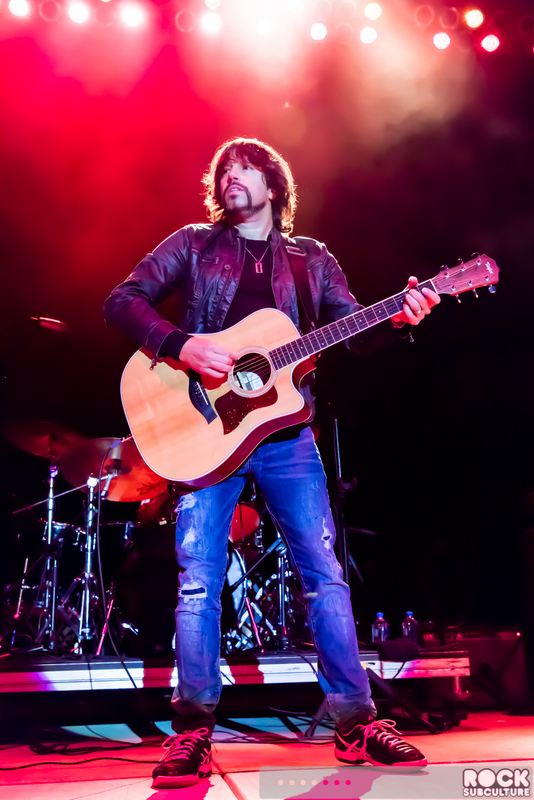 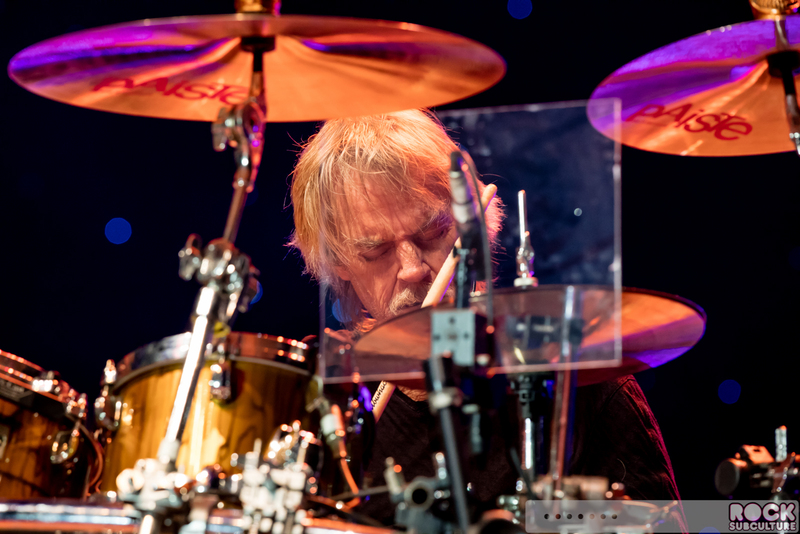 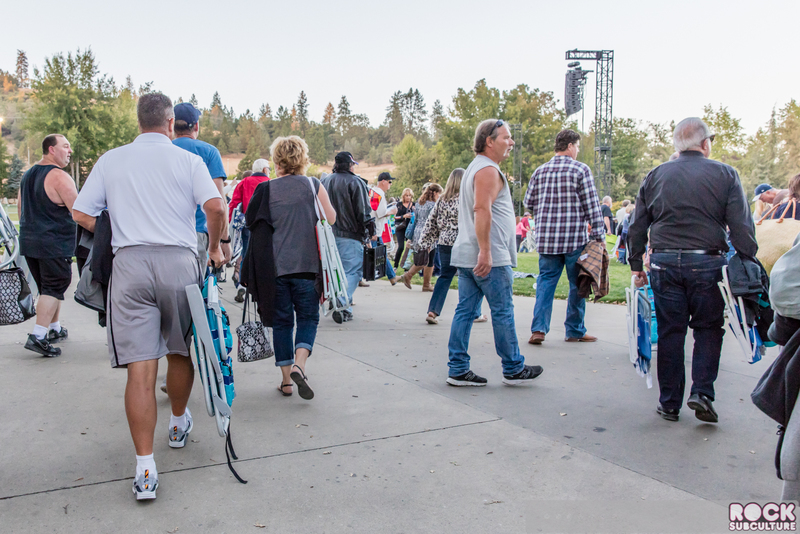 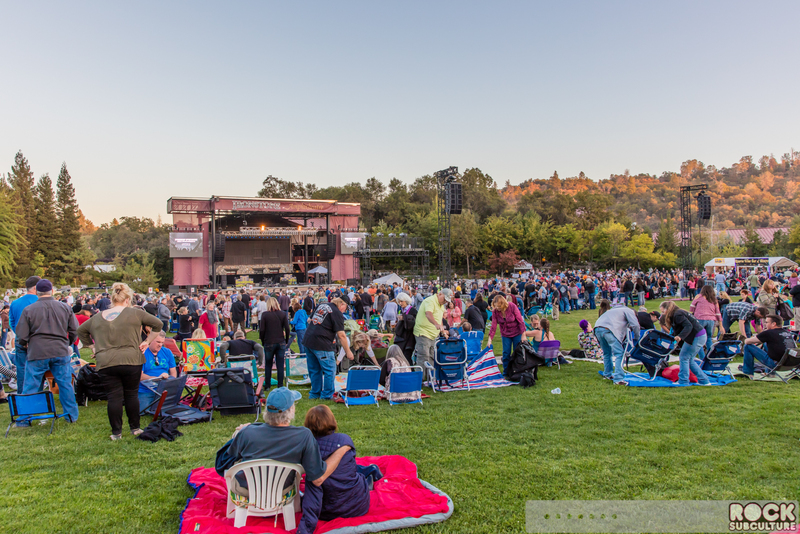 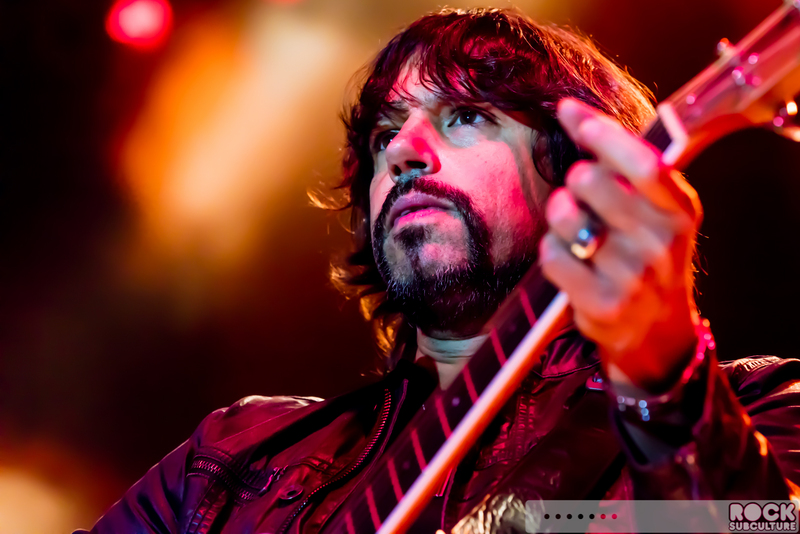 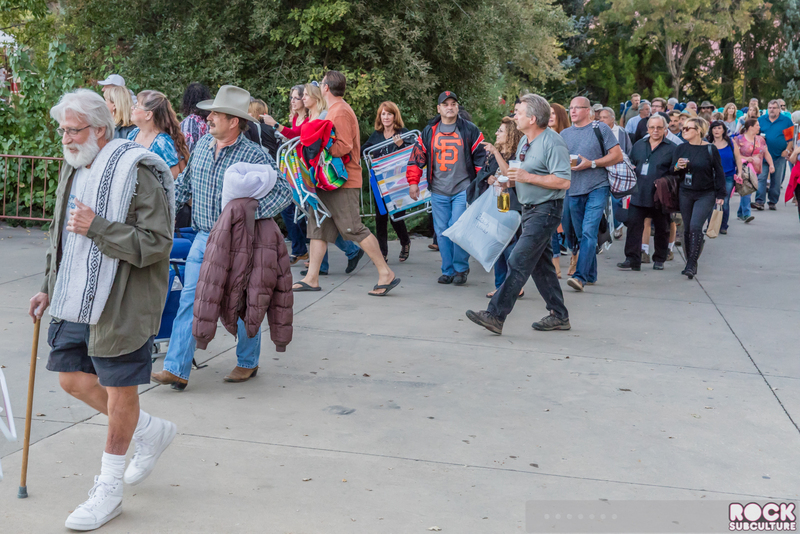 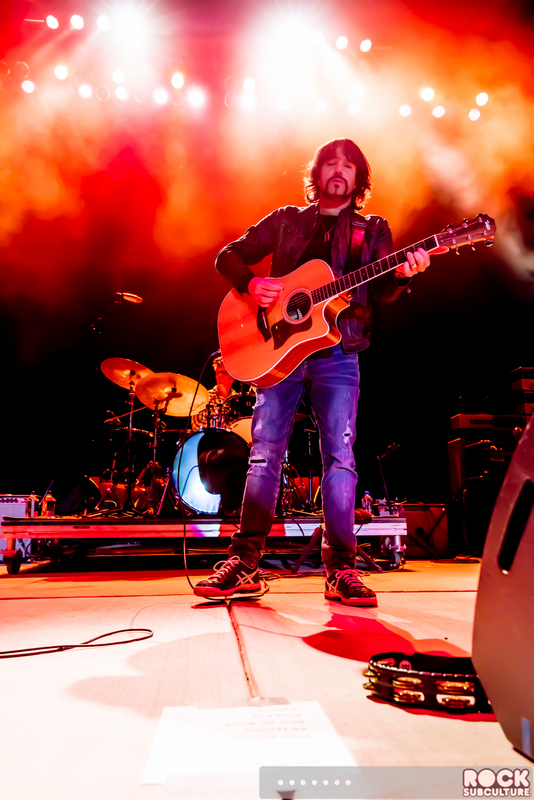 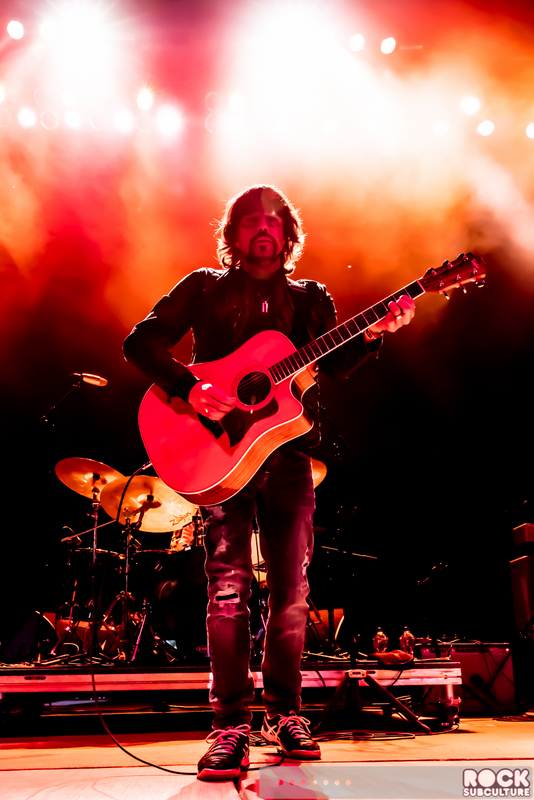 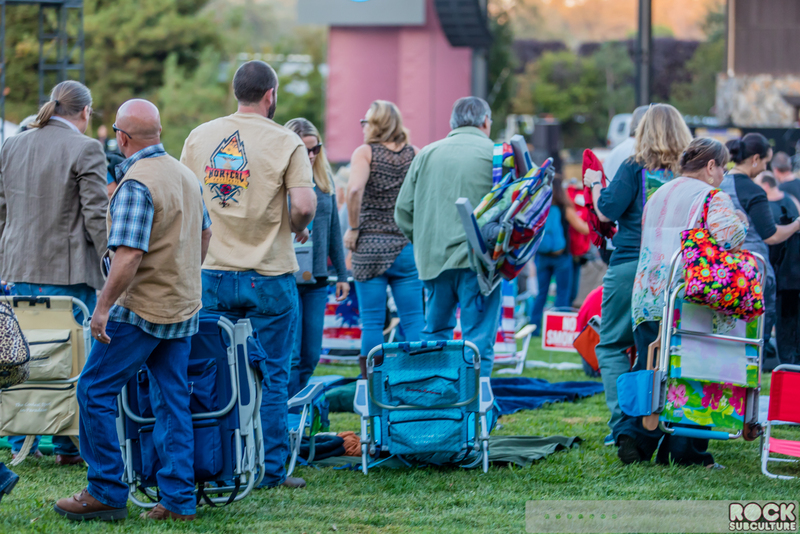 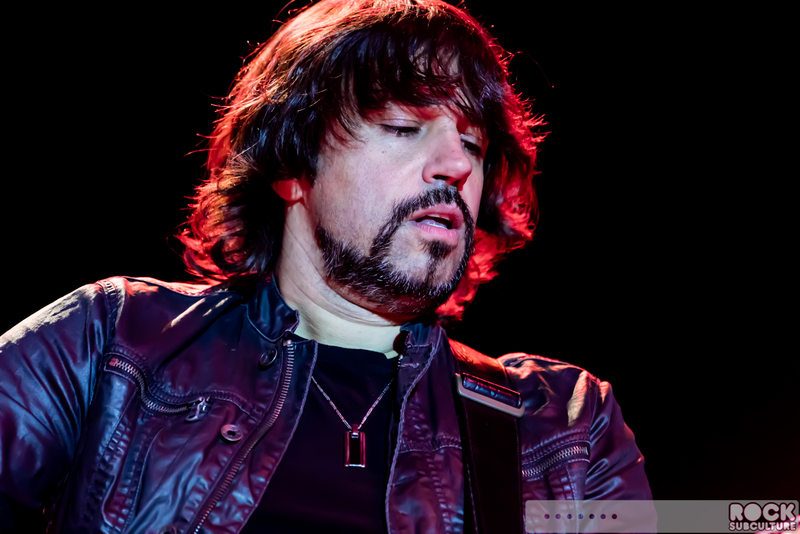 This event was the ninth and last in Richter Entertainment Group’s Summer Concert Series at Ironstone Amphitheatre at Ironstone Vineyards in Murphys, California for 2016 (see reviews for Darius Rucker, Goo Goo Dolls, Sublime with Rome, Train, Chris Young, Lynyrd Skynyrd and Peter Frampton, and Bad Company). 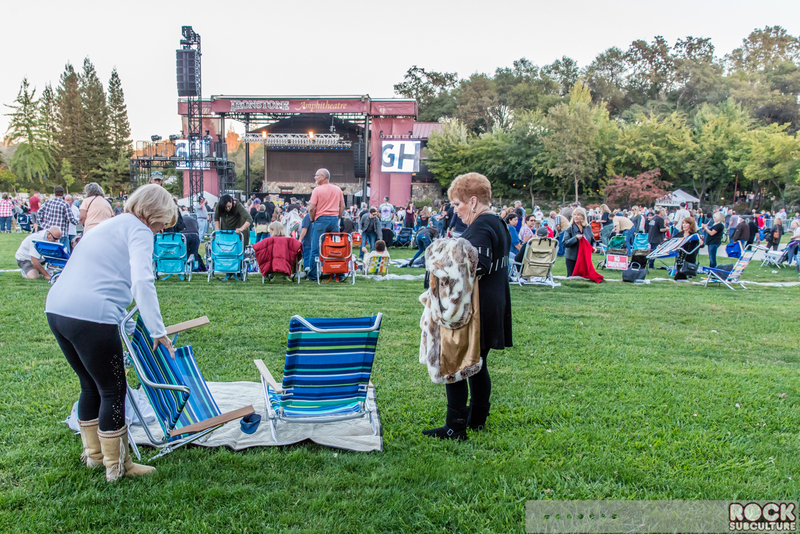 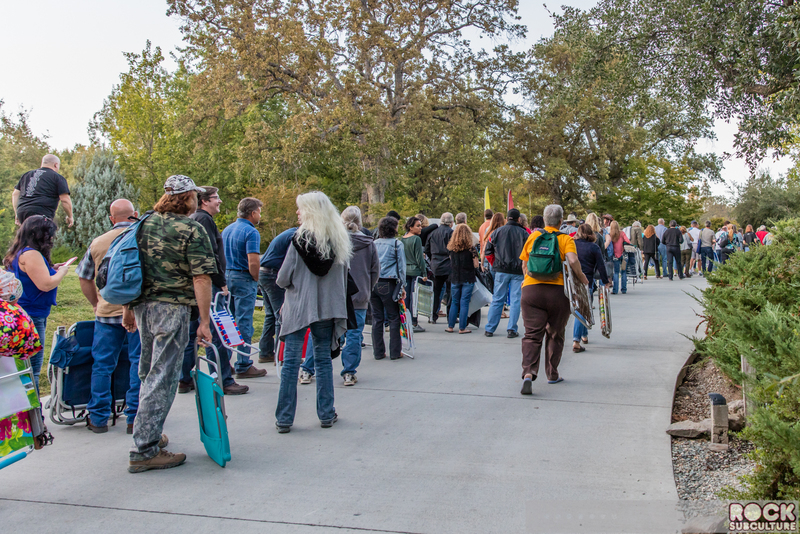 This was the first show that reflected the changing seasons, with colder weather and a sun that was setting as doors opened to the public, who fled into the general admission lawn areas with chairs and blankets. 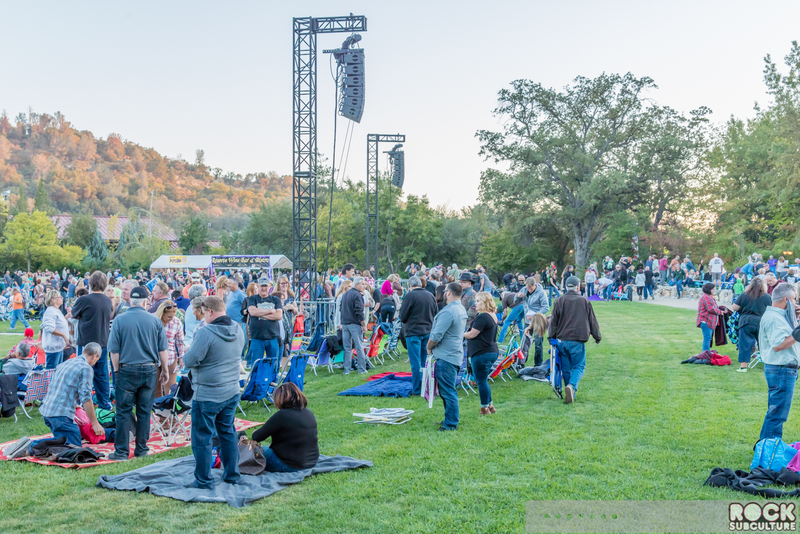 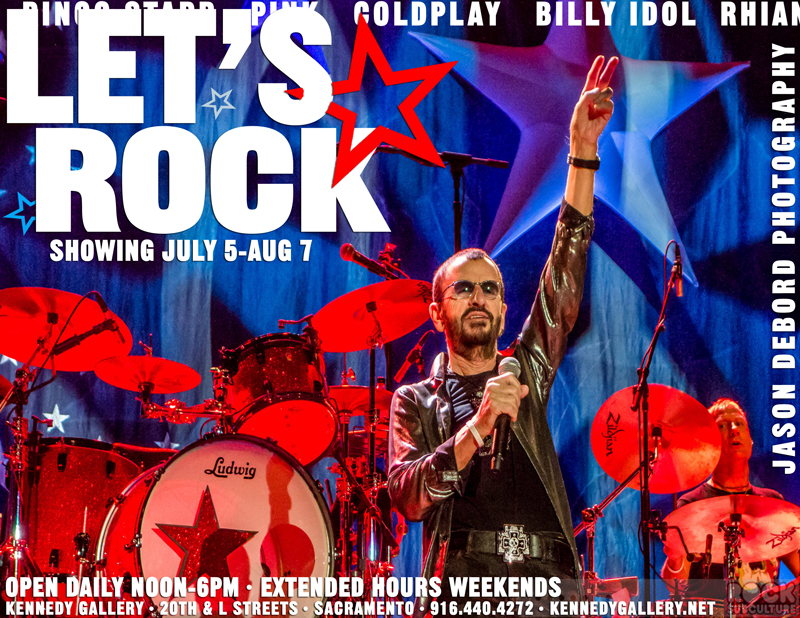 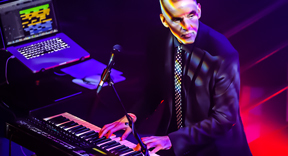 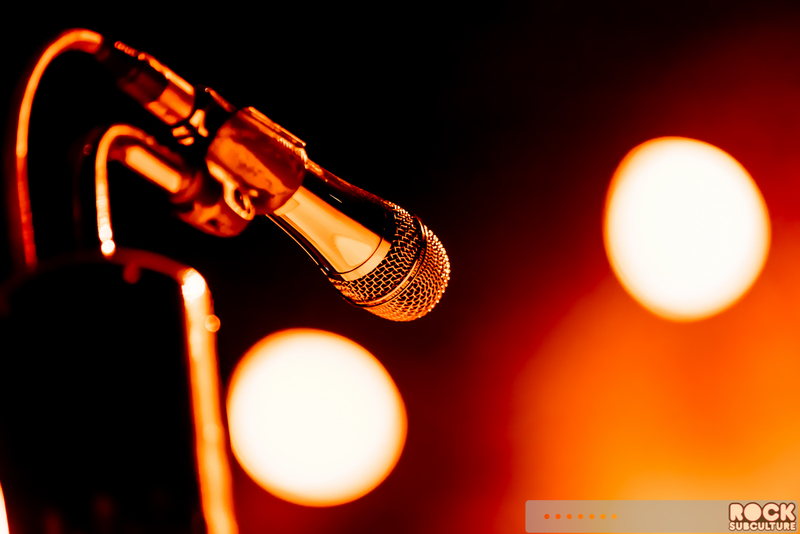 As covered in prior reviews, for 2017 Richter Entertainment Group assembled an eclectic mix of musical artists, styles and genres this year, all benefiting from the state-of-the-art concert facility with top quality sound and lighting to placed each artist in the spotlight to showcase their music. 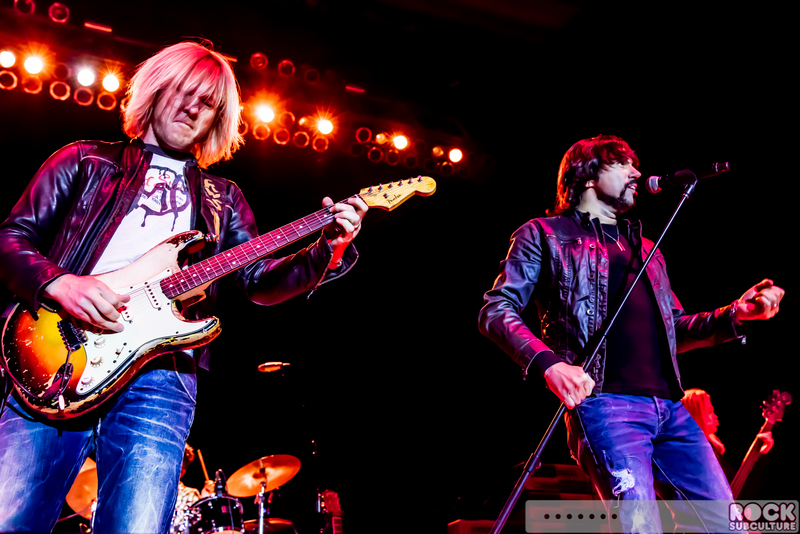 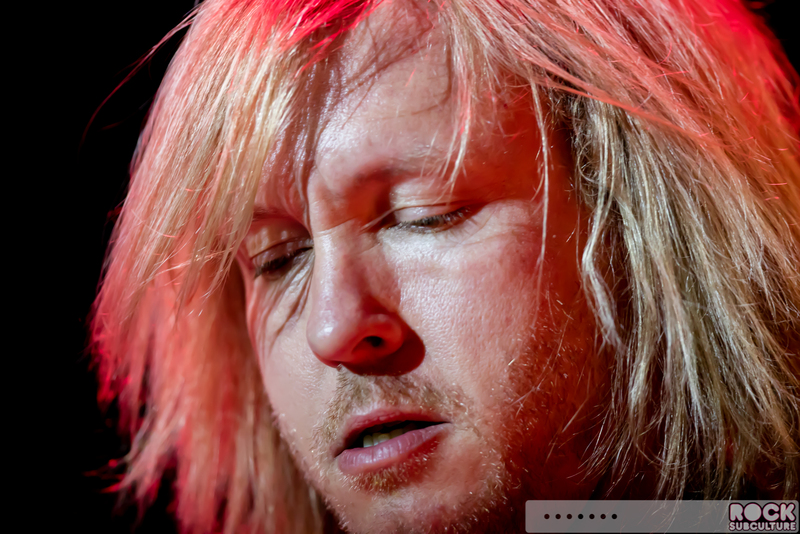 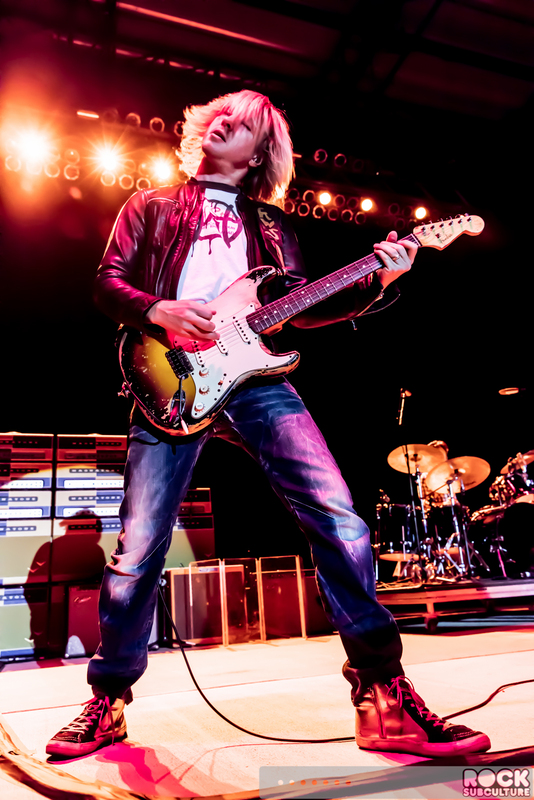 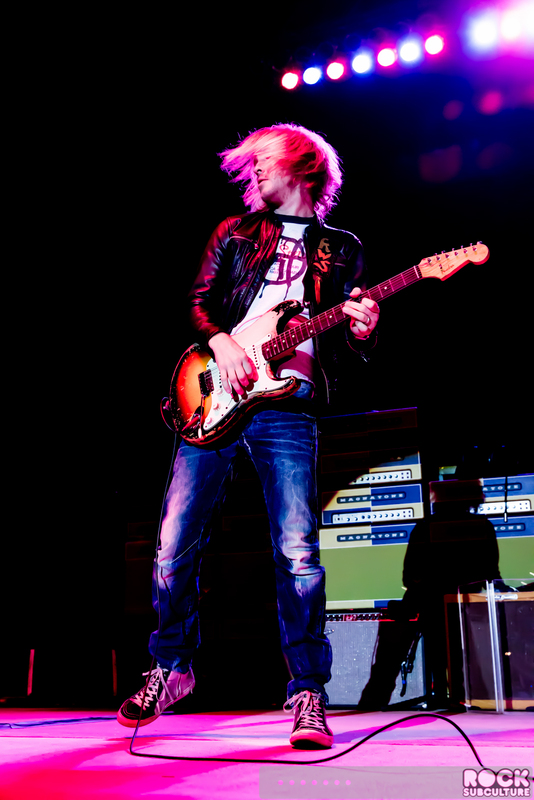 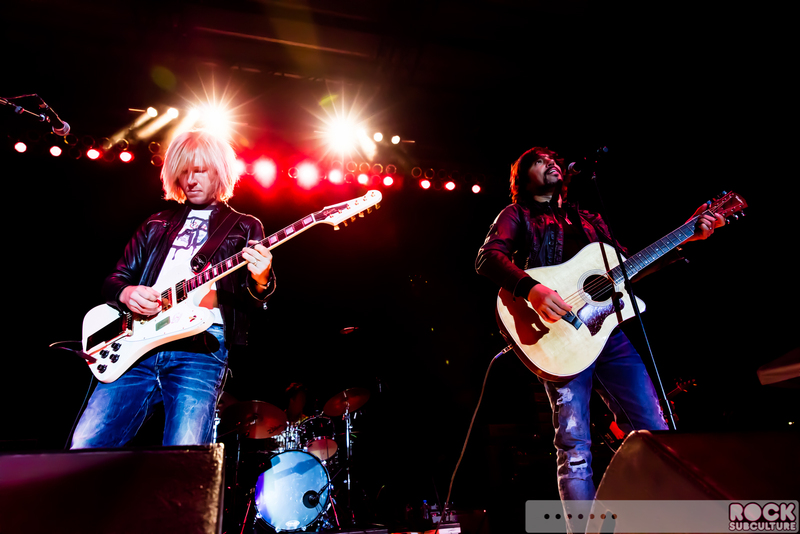 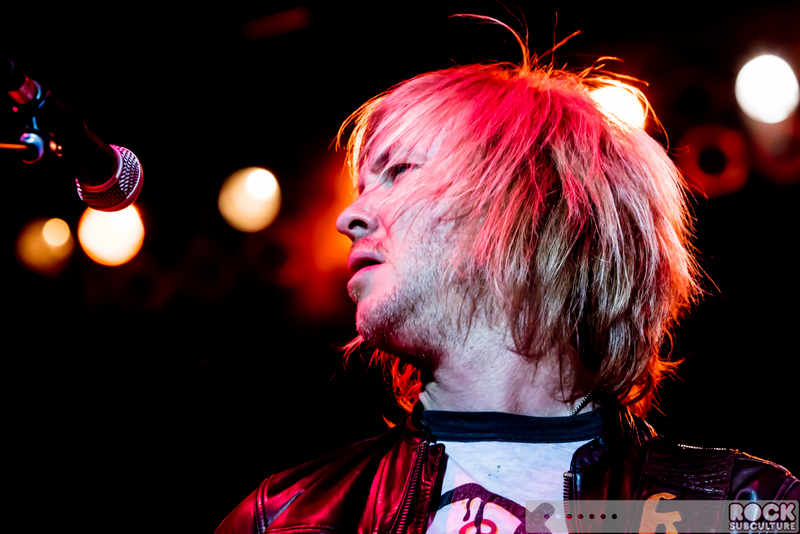 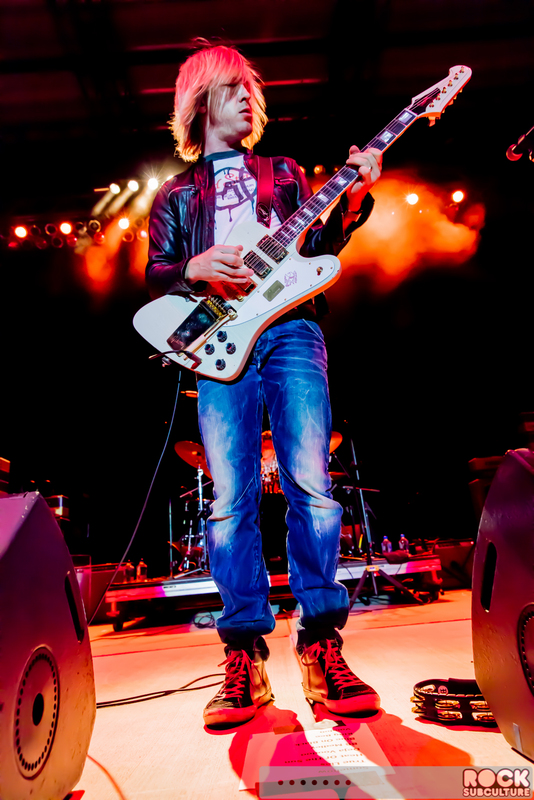 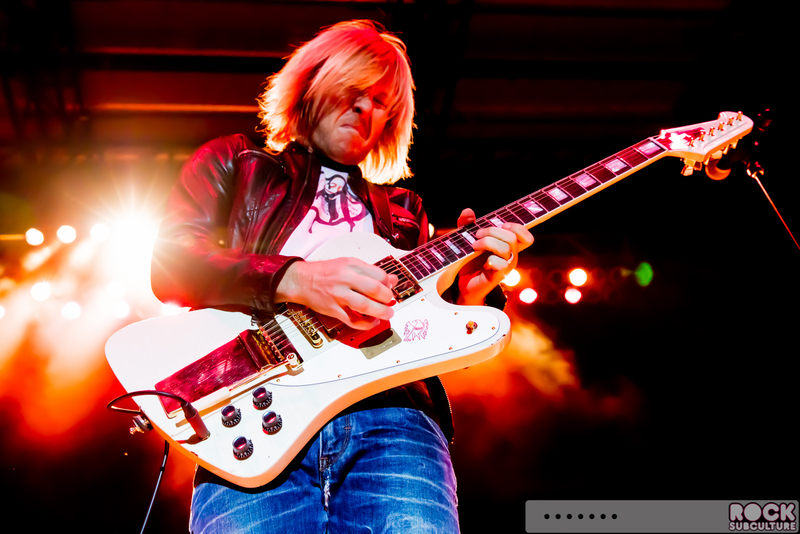 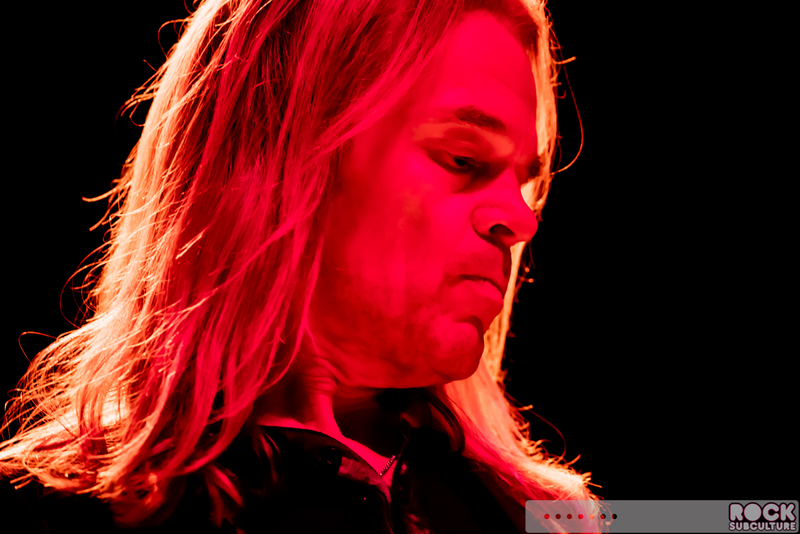 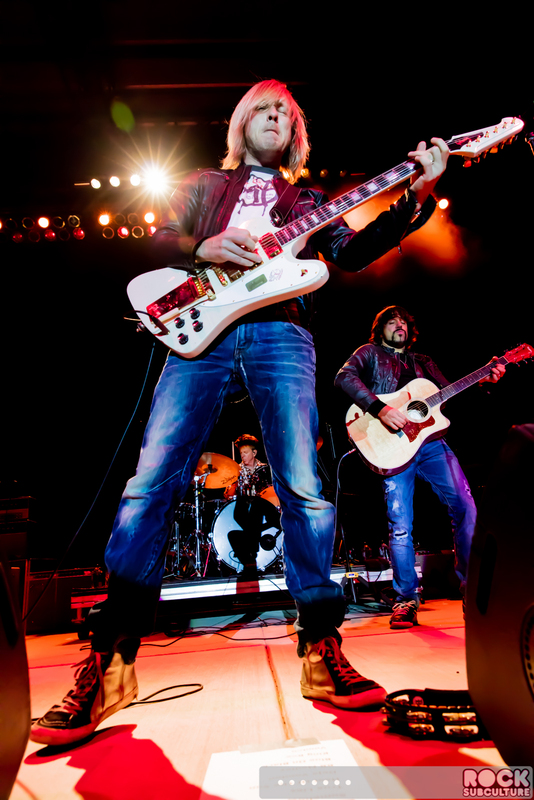 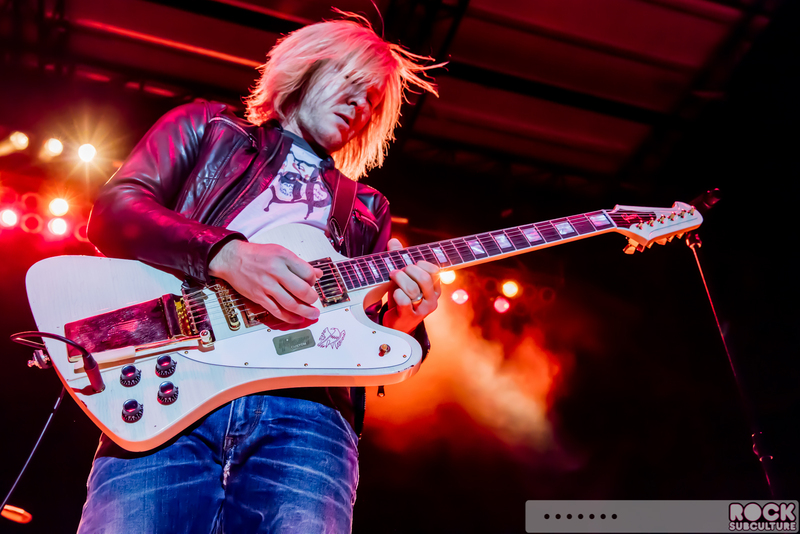 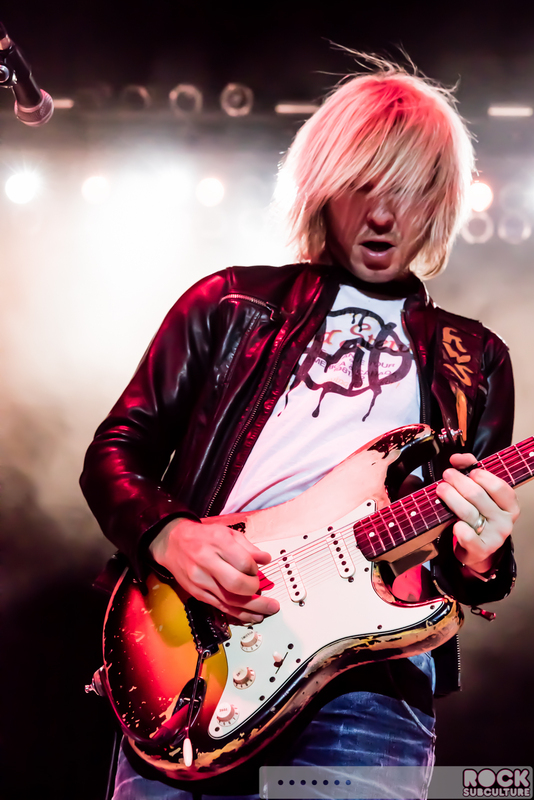 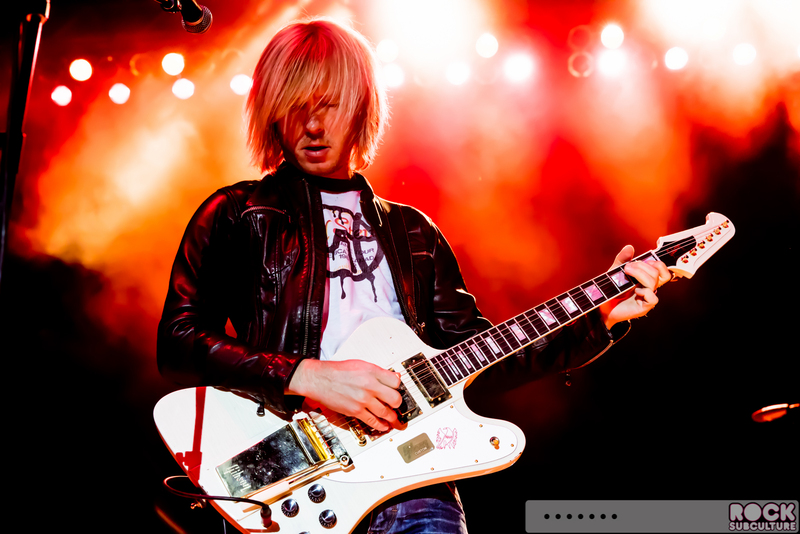 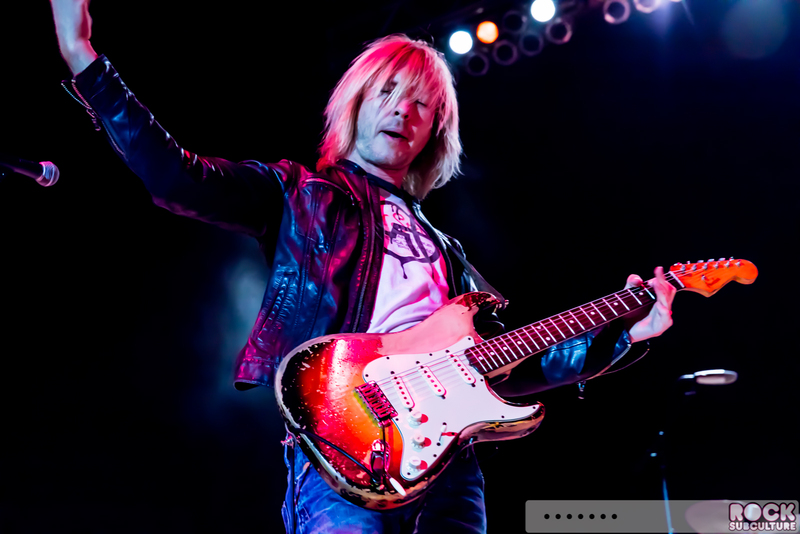 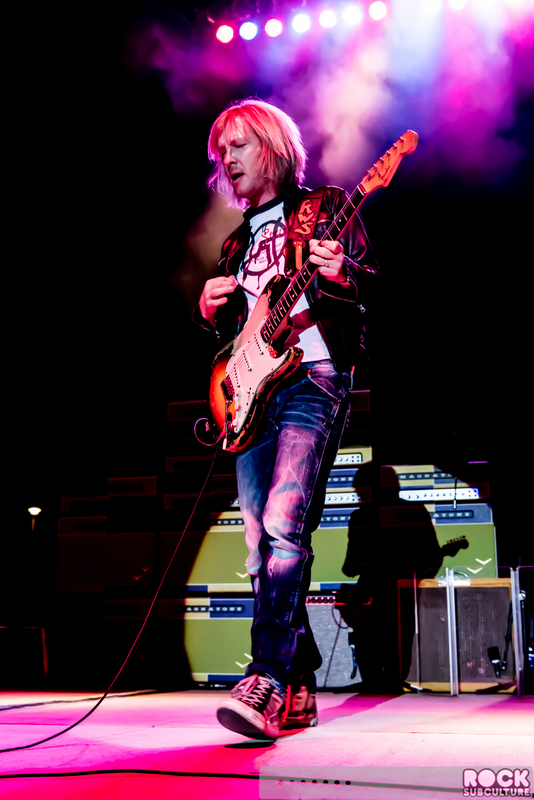 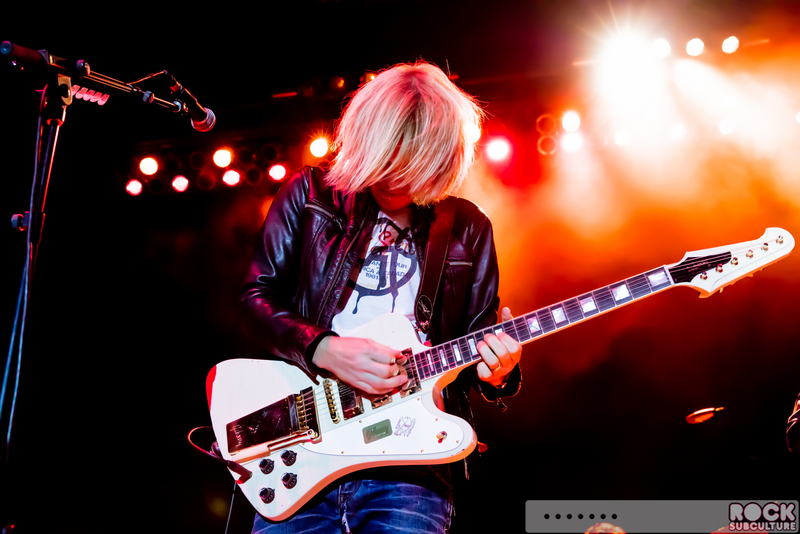 Kenny Wayne Shepherd is a guitarist singer-songwriter, active from the early 90s on with seven studio albums, most recently 2014’s Goin’ Home. 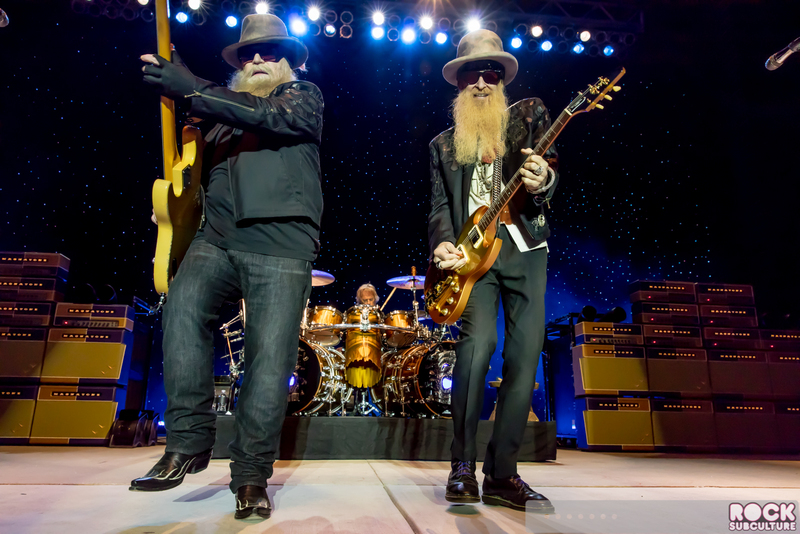 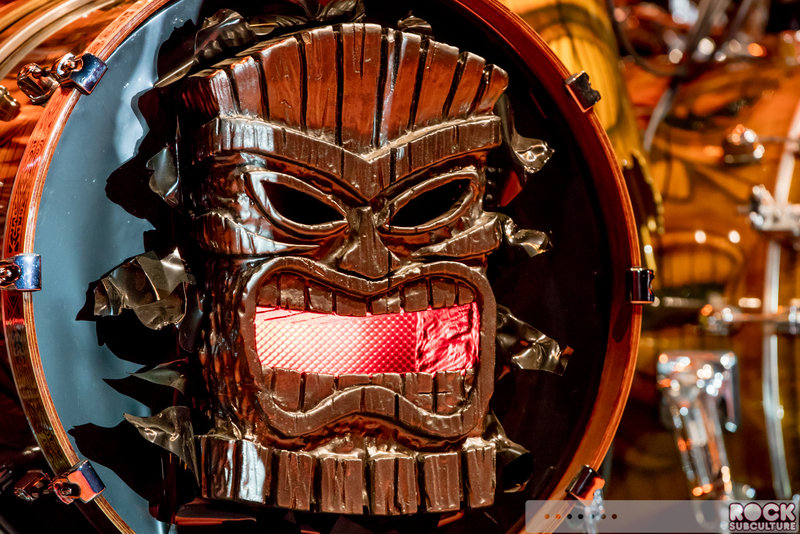 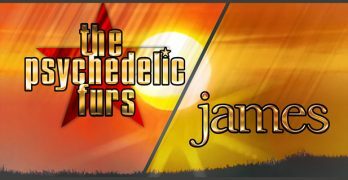 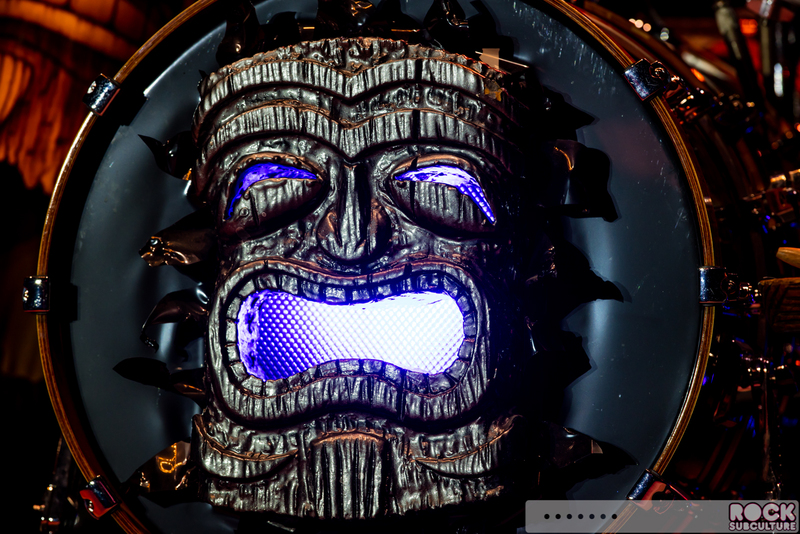 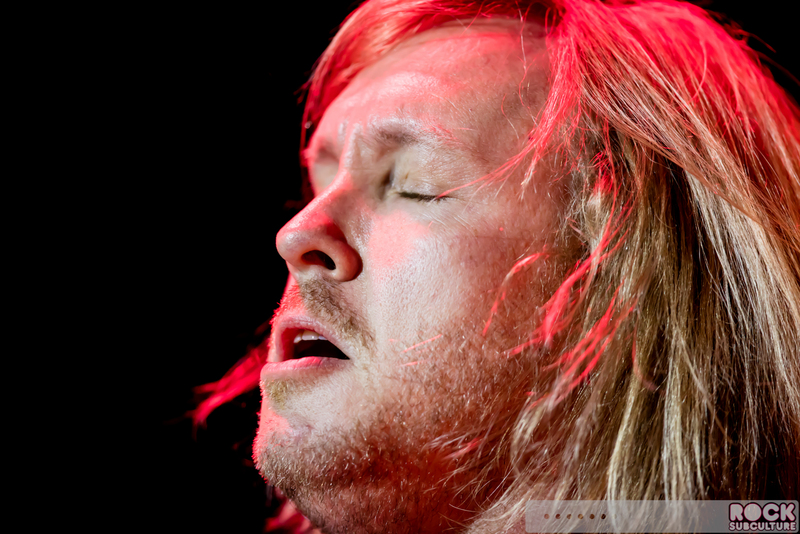 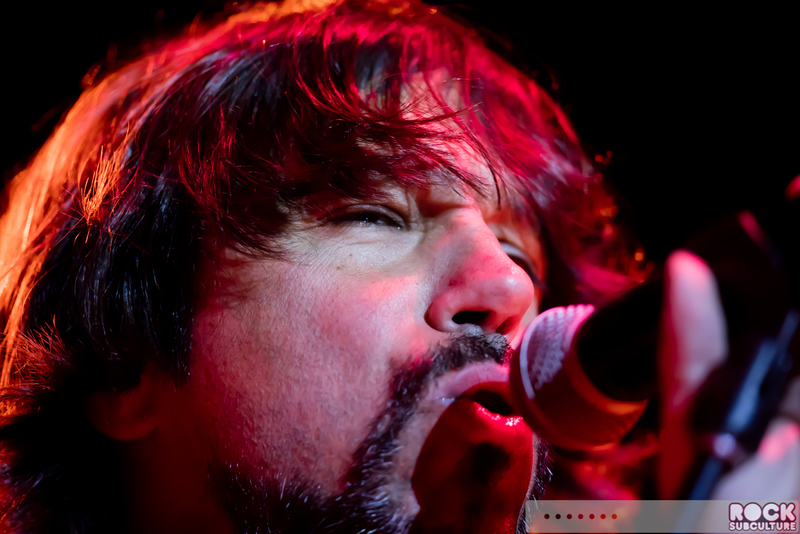 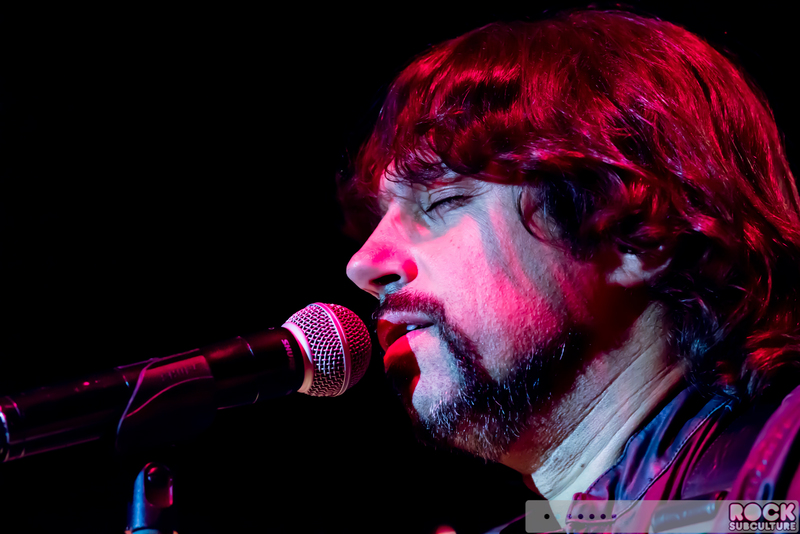 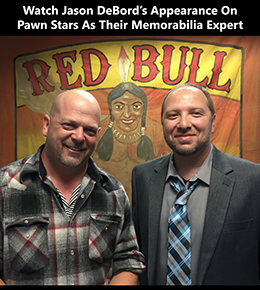 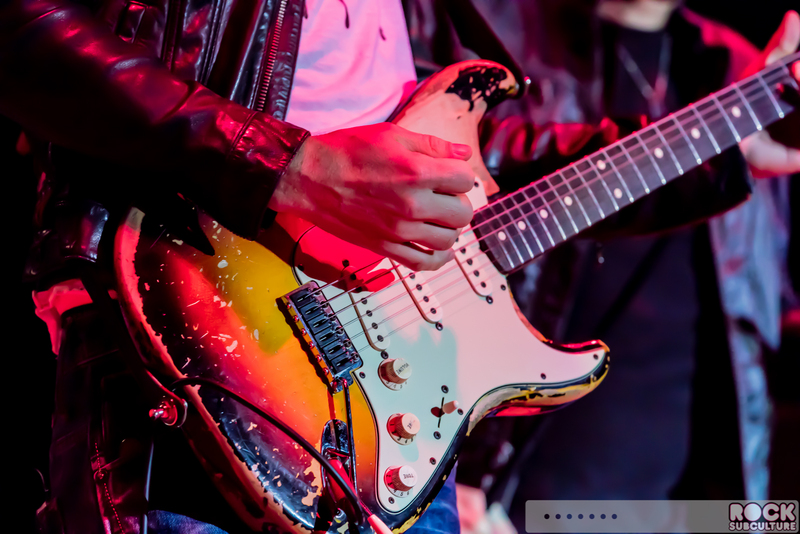 They put on an incredible set – doing justice to the blues and rock style and sound. 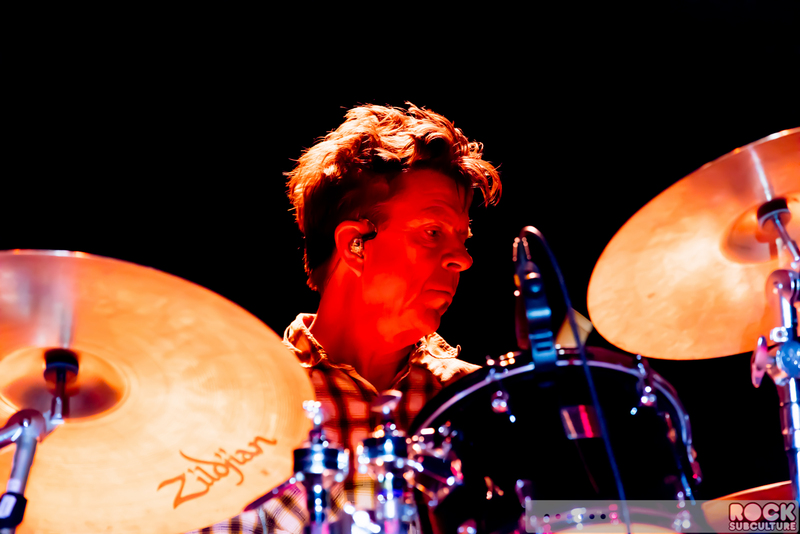 In-between sets, there was tremendous buzz within the crowd, talking up the performance that they’d just experienced. 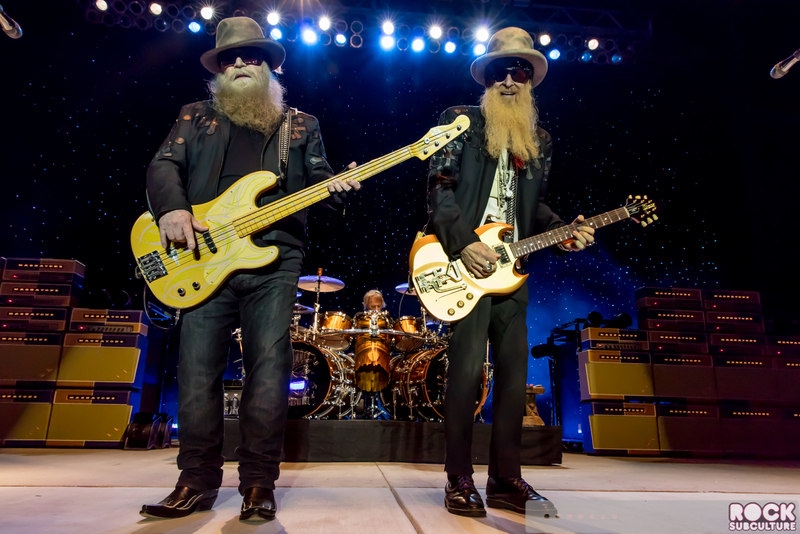 ZZ Top was formed in Houston, Texas in 1969, and their debut album, Tres Hombres, was released in 1971. 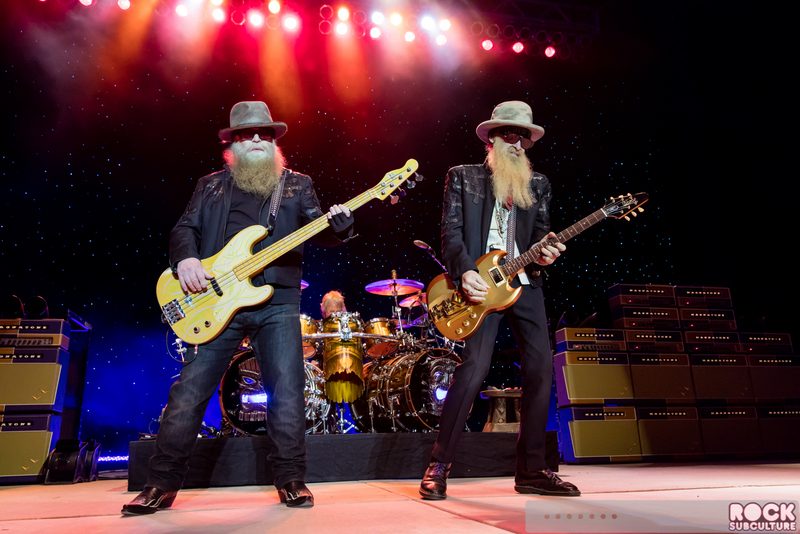 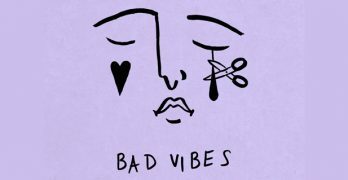 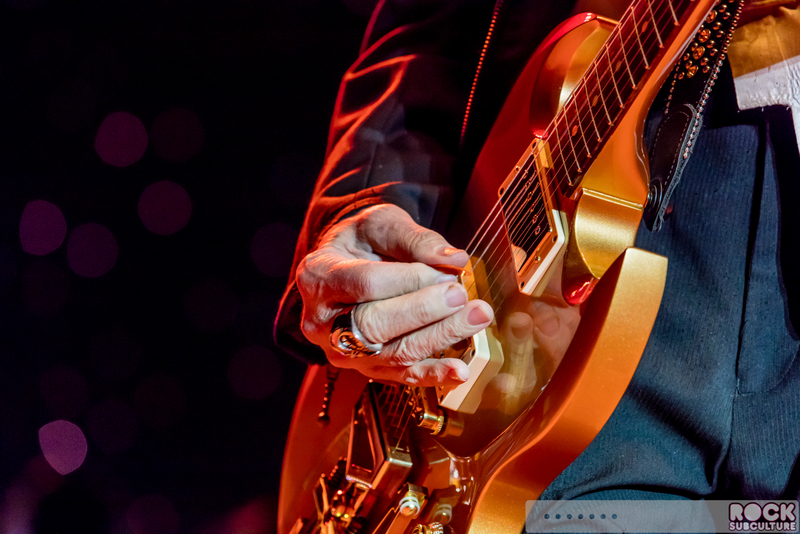 Originally more of a blues band, they have evolved with the times over many decades. 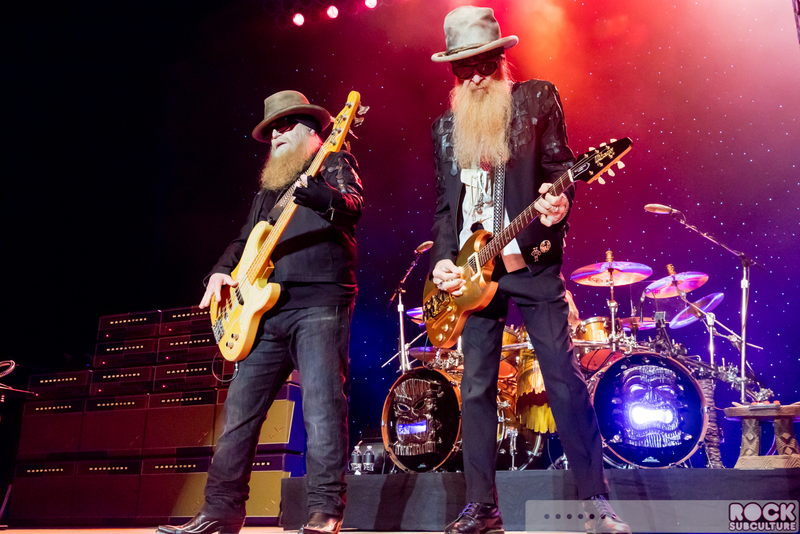 Remarkably, they’ve sold over 50 million albums, and they were inducted into the Rock and Roll Hall of Fame in 2004. 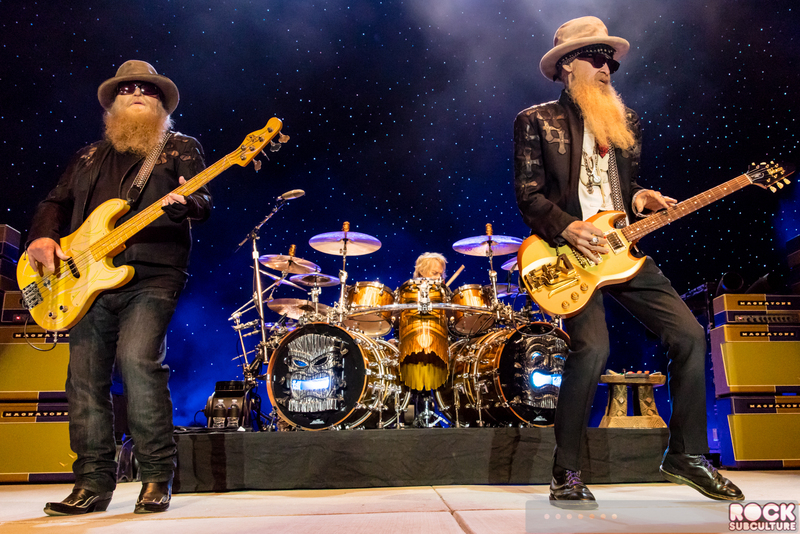 I was born a few years after their debut album was released, so my first exposure to ZZ Top was in the early 80s, courtesy of MTV. 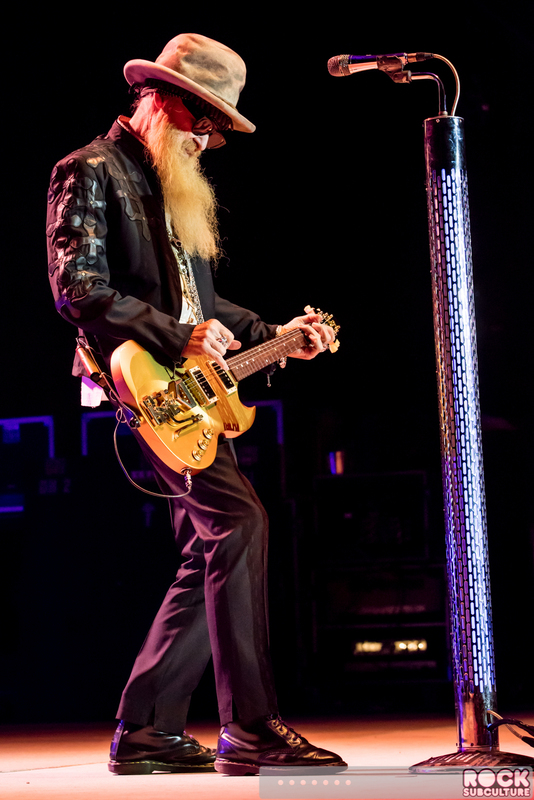 I remember watching those early videos, which included “Gimme All Your Lovin'”, “Sharp Dressed Man”, and “Legs”. 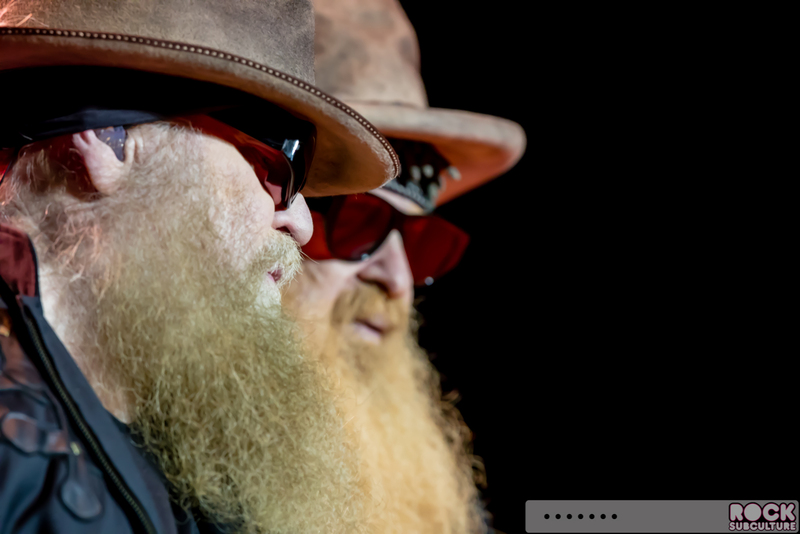 These were all singles from their 1983 album, Eliminator. 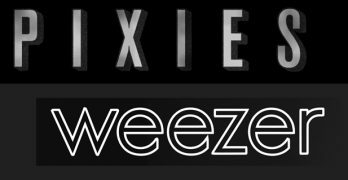 At around 10 years old at the time, I didn’t fully understand what I was seeing in those videos, but the trio were striking in their appearance and the music contained a lot of pop and synth as most everything else did at the time, so I did enjoy it. 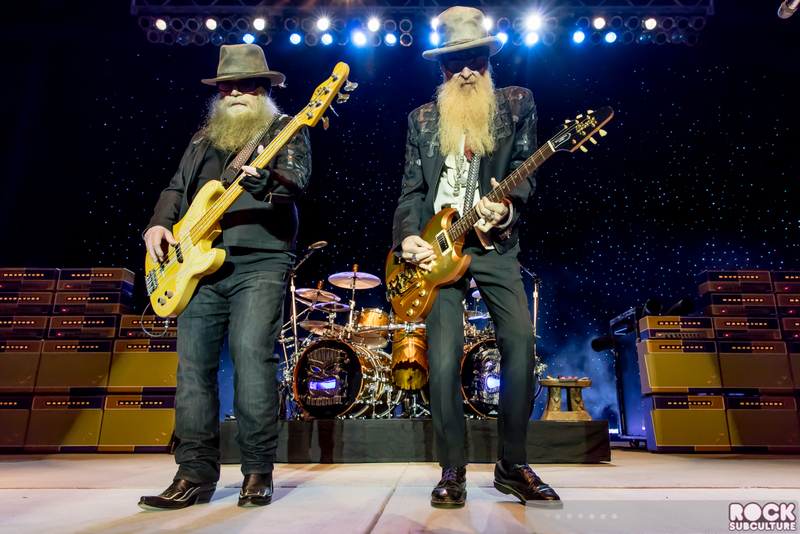 With the 90s, ZZ Top shifted into an entirely different musical direction, as did most everyone who survived the 80s did. 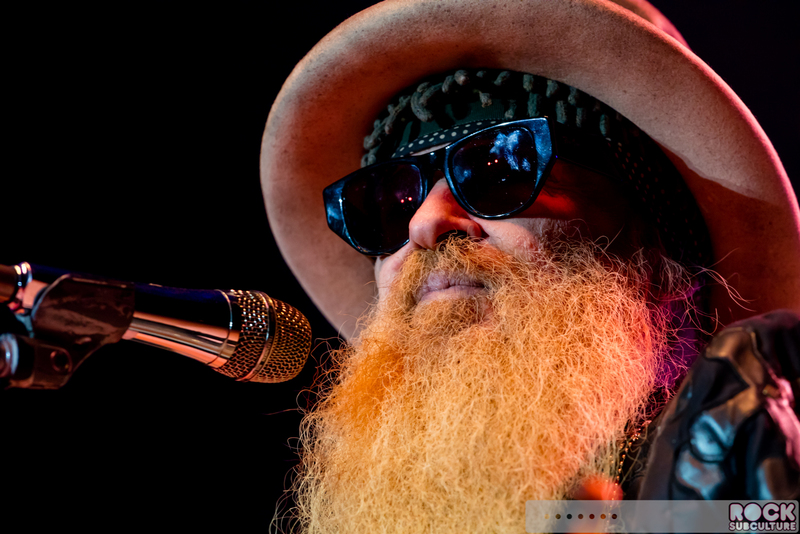 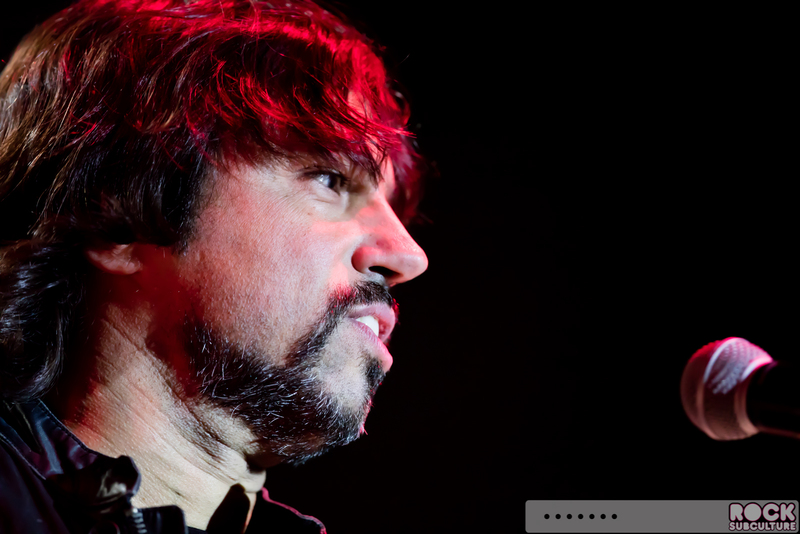 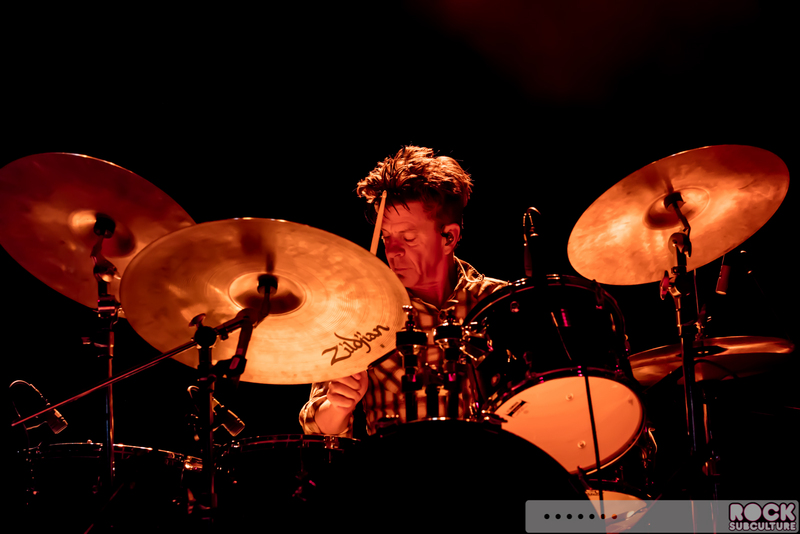 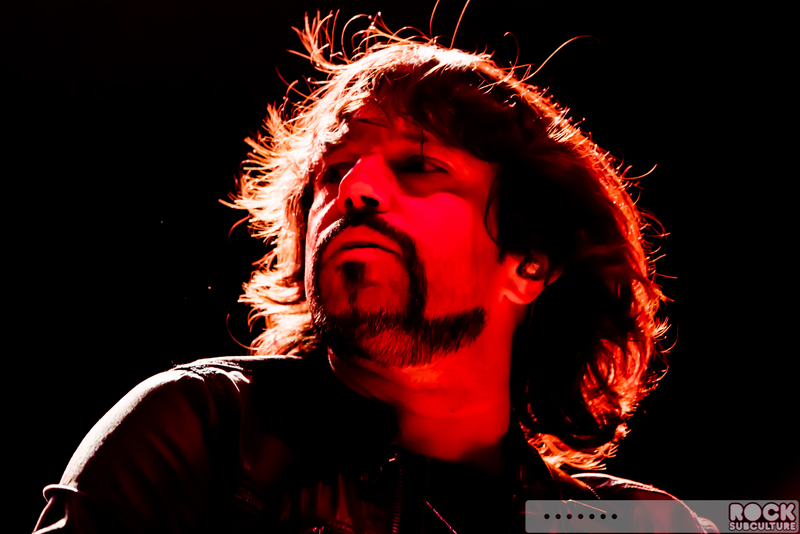 Their last album, La Futura, was actually produced by Rick Rubin (one of the best in the business), so it’s awesome that the band continues to create new music as well as keep up an impressive live tour schedule. 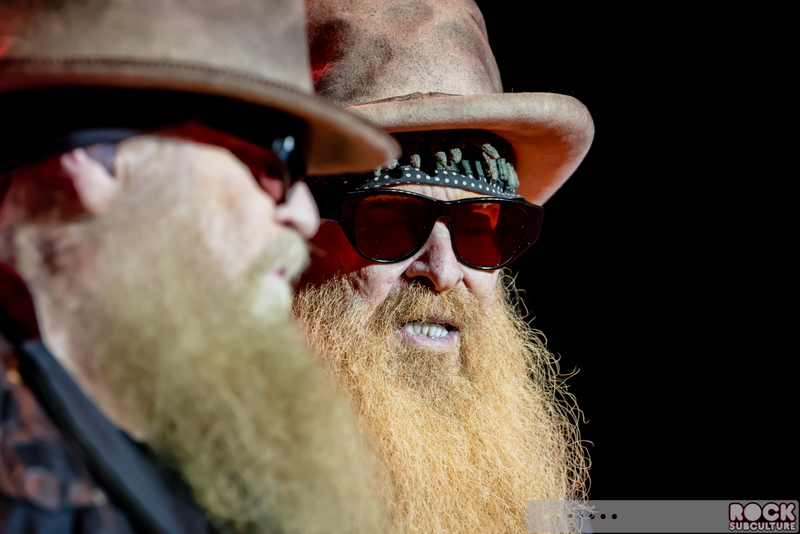 Over many decades now, they’ve become not only icons in music but in pop culture at large, though I suspect this was not something that they planned or even dreamed of back in the 70s. 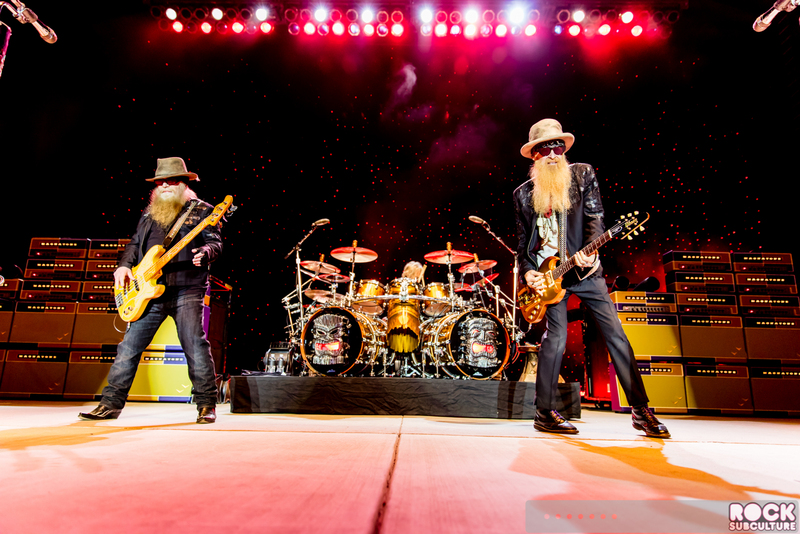 This was my first time seeing them perform live, and I was truly impressed. 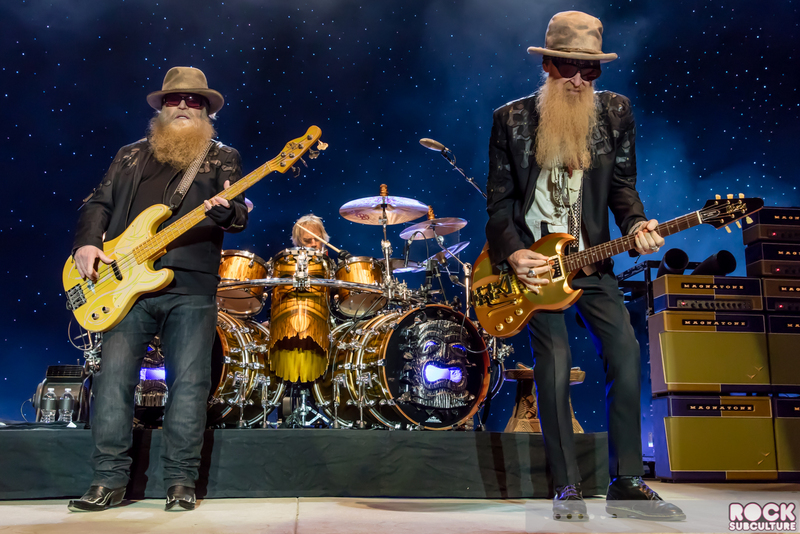 The technical ability and gifts still in play on stage were remarkable, and I can see how they’ve achieved such legendary status throughout their careers. 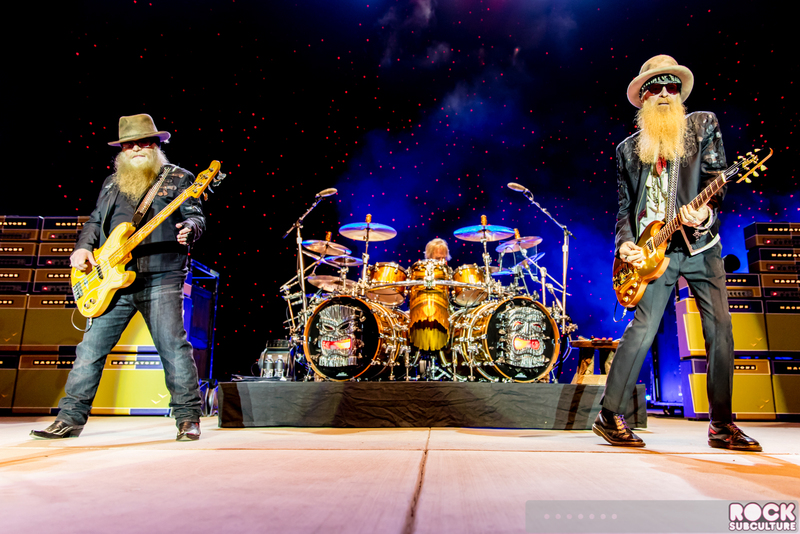 I would definitely recommend going to see them live if you ever get the chance – they won’t disappoint.